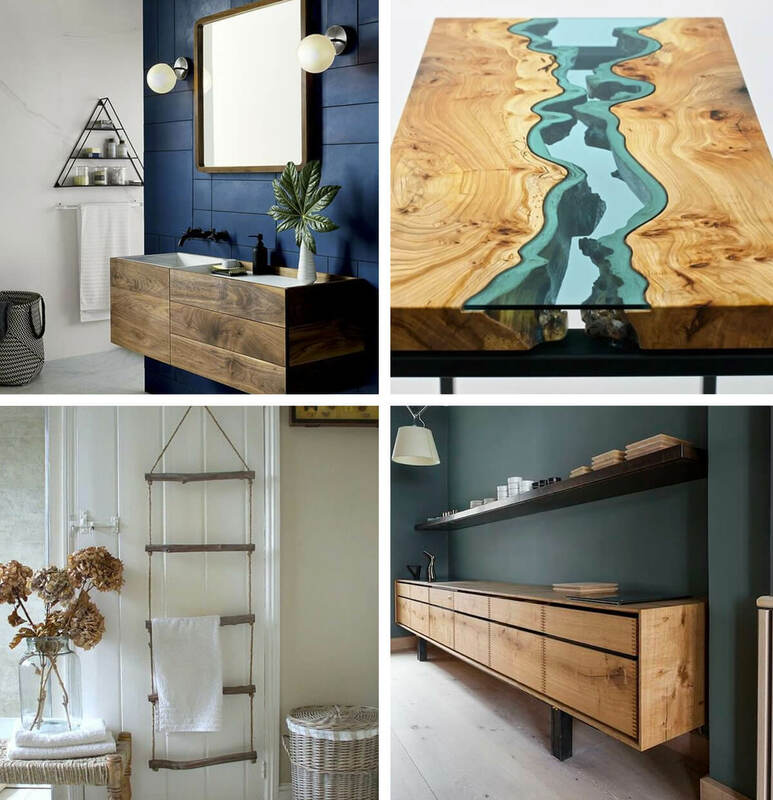 Bringing nature into your home is the ultimate style trend right now. 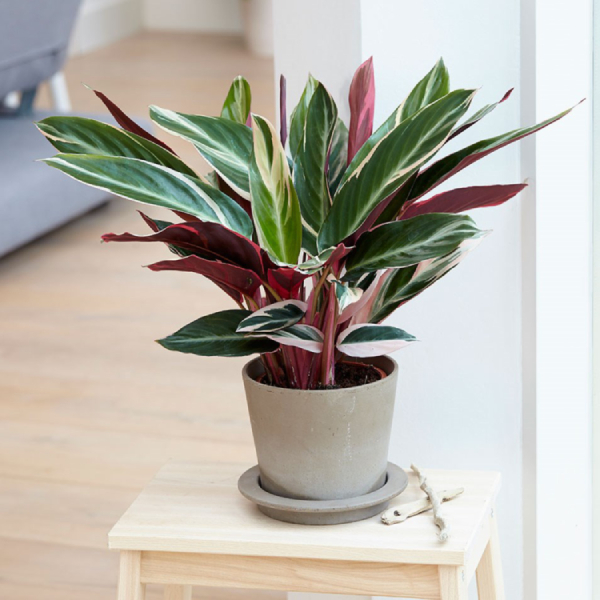 Not only are house plants a great way to bring colour and style to your home but they have a whole range of benefits too! They can clean toxins out of the air, they absorb carbon dioxide and emit oxygen. They also control the humidity in your room! 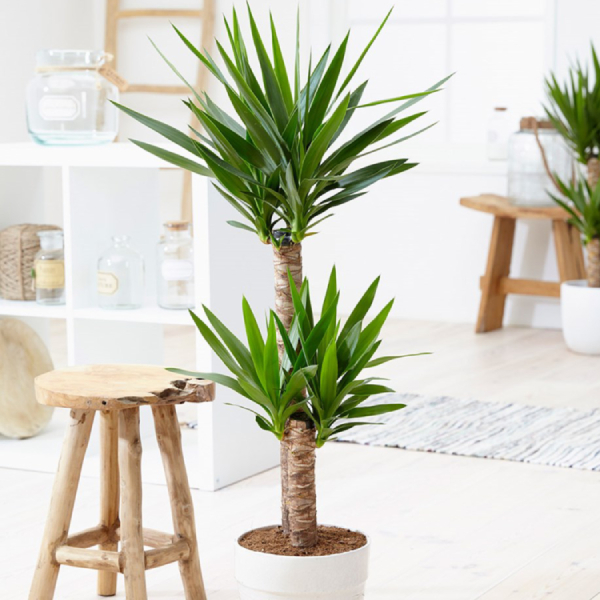 Plants are not only great for your home, but many plant owners also say that looking after plants is rewarding and seeing them flourish is worth putting in the work. But it is important to understand the needs of the plant you’re buying, and start off with an easy to look after type. Below I have listed some easy to take care of houseplants that will survive the odd overwatering (or under). I have detailed the basics about how to take care of them and the right water and light for their needs. 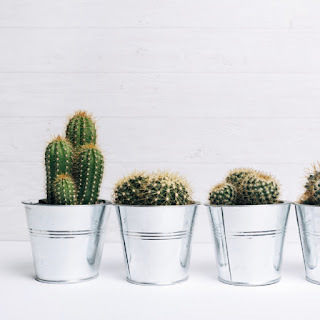 Cacti’s are a staple easy to take care of house plant! 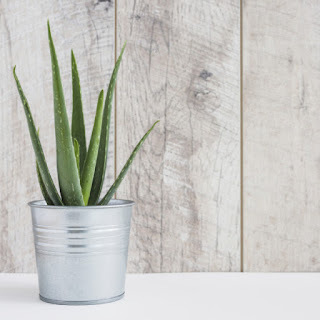 They are a popular go-to for inexperienced plant owners. Make sure they have bright sunlight, and don't overwater them. This is the best plant to get if you forget to water your plants often. Succulents, like cacti, are a home staple. They are also so easy to take care of! Just be sure to water them sparingly, and keep in a warm place with indirect sunlight. 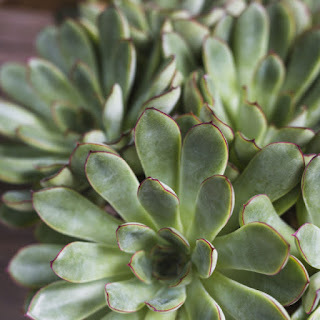 These cool looking plants are a great asset to any home! Break open a leaf to find aloe vera gel, which is thought to have healing properties. These easy houseplants need bright indirect light and a good water once every 1-2 weeks. With all this warmer weather gracing the country, it may feel as though the events of the past few months are all but a distant memory. If the joyous Spring feeling is leaving you inspired and ready to get those creative juices flowing, then let’s not hold back any longer! When it comes to a flowing living space, that is both stylish and practical, the main focus and heart of all activity is the sofa. Often underestimated for what it gives to a room and moreover the family as a whole, the overall lounging space is key to any living room. If you are experiencing some sofa blues, then it’s time to make a change. Beloved comforts, such as sofas and armchairs are often made victim to years of good old family use. You know, the end of week glass of red, paw prints and even that time your nephew got his hands on the glue. Whatever the scenario, your sofa has been there and experienced it. Bespoke Furnishings – Let Impala turn your #interiorgoals into a reality! So if you’re itching to get your hands on some untouched luxury, then let’s uncage that inner interior designer. 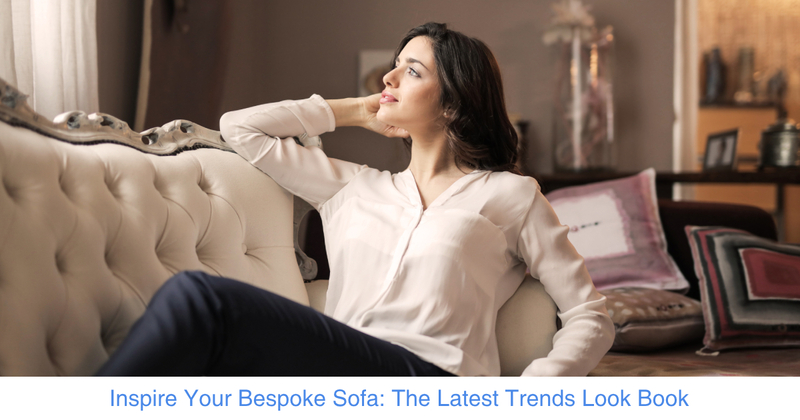 At Impala Sofas we specialise in bespoke sofas and furnishings. Meaning that alongside our completely customisable standard collection, we can breathe life in designs that have never been created before. Book an appointment with one of our specialists today. 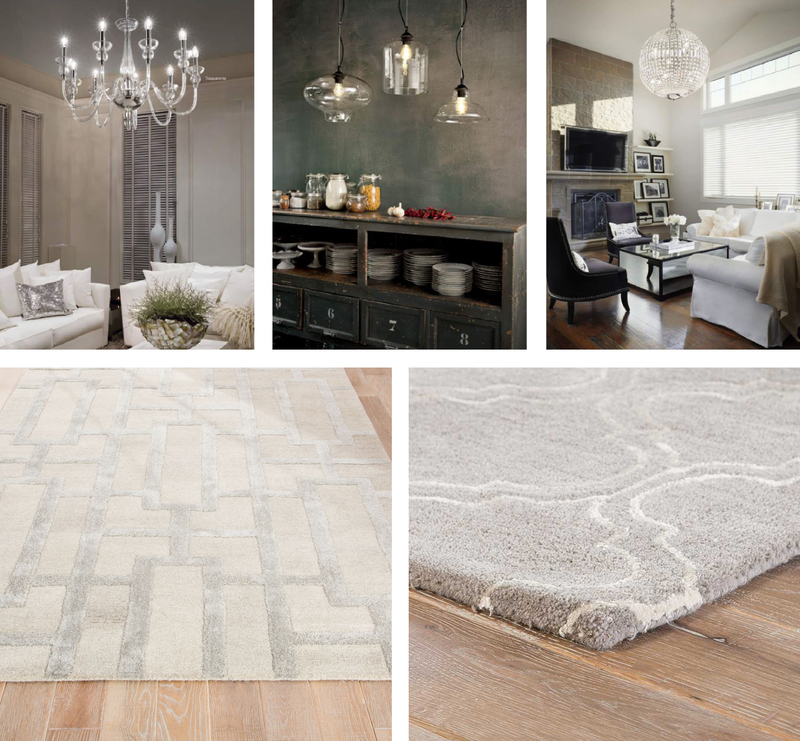 The beige colour scheme is back on the scene and it’s working brilliantly with cool grey tones and warm whites. One of the great things about the beige trend is that you can really maximise on textures. From our Impala collection, the Slouch 2-Seater Sofa in Ivory Paisley works exceptionally well with this popular interior trend. 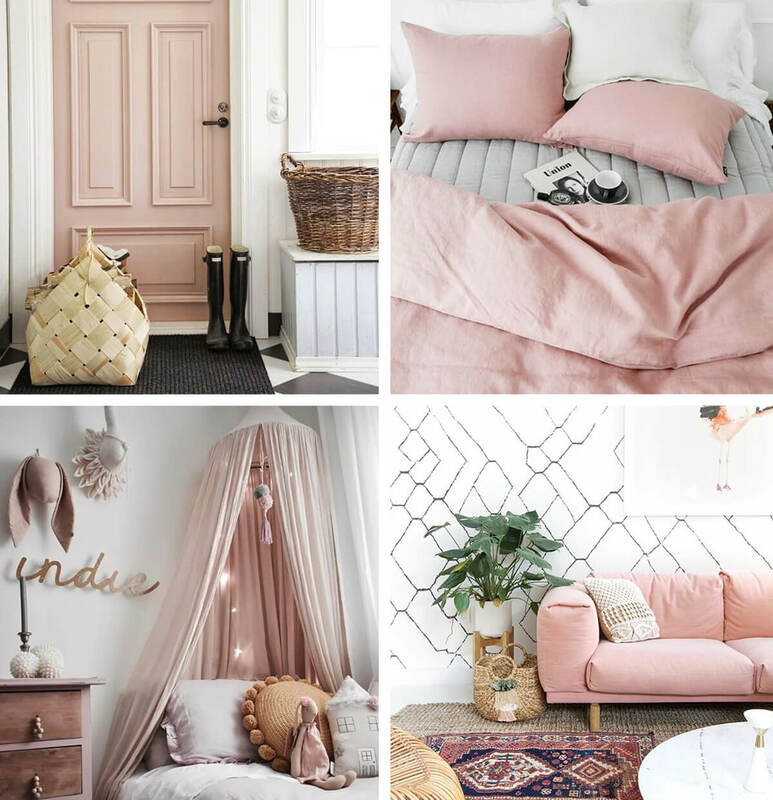 The sumptuous peach and pinkie tones are revolutionising home interiors this year! The touch of a soft or bold peach tone can really help lift the energy in a living space. 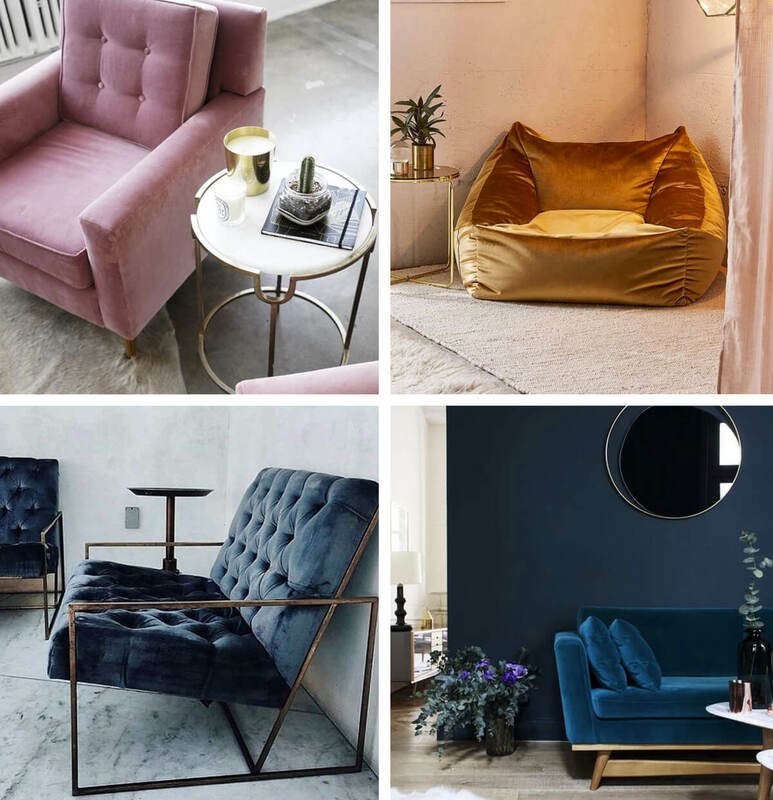 Whether you choose to style this trend subtly with a Pastel Peach Cushion or go all out with a statement sofa, you are sure to breathe a new lease of life into your space. Looking for a conversational piece? Take a look out our cosy Slouch Love Seat. Warm white tones are the perfect blank canvas and they are becoming increasingly popular this year. Mix it up and keep it stylish and fresh with the addition of wooden furnishings and textured rugs. The Lexington 2-Seater Sofa in Oyster is the perfect example of a stylish and modern design that lends itself to this popular trend. New Luxurious Beanbags Now Available! Is your living space feeling a little dull and empty after the Christmas festivities? If you’re looking to add something luxurious and unique to your living space, then we have some gorgeous new products just for you! 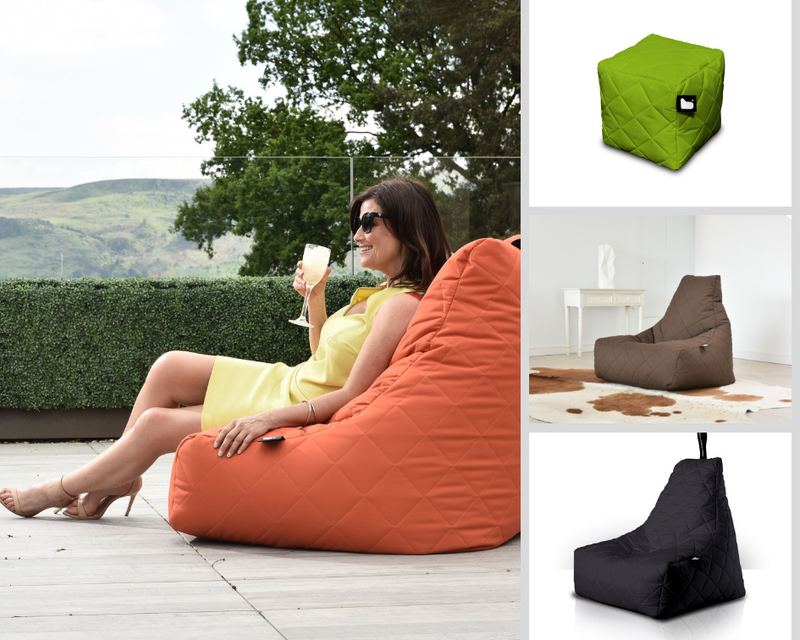 This January we have introduced six luxurious bean bags to our range! Our bean bags are crafted in Britain from only the highest quality material. Offering loungers wonderful comfort, luxury and style. 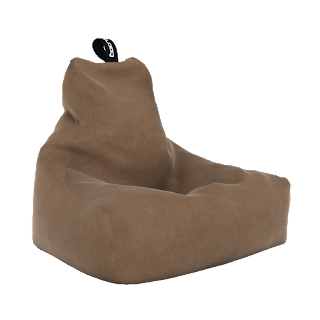 Available in a variety of different materials, including real sheepskin and faux leather our bean bags are truly like no other! 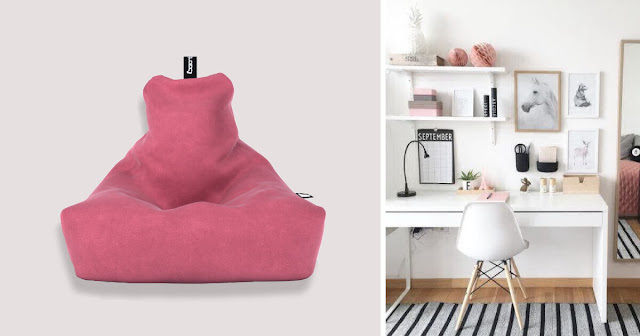 If you’re looking for a conversational piece for your home that offers immense style and comfort, then the Fur Bean Bag Mighty is the bag for you! Crafted from 100% sheepskin, this sumptuous fleecy bean bag offers natural warmth that just cannot be imitated. 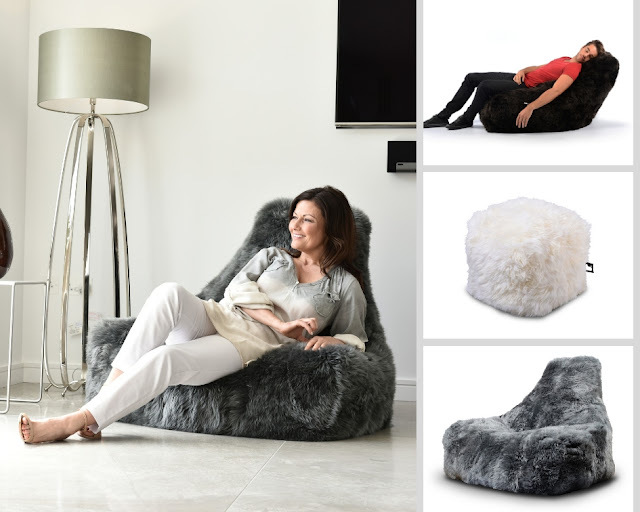 Available in four colours, this strong, lightweight fur beanbag will give you nothing but glorious comfort. This gorgeous Fur Bean Bag is also available as a Bean Bag Box! If you are passionate about Nordic interior design, then you are going to fall in love with the Pastel Bean Bag Mighty. This trendy soft pallet is becoming increasingly popular within modern interiors this year! Available in four beautiful shades, the Pastel Bean Bag Mighty is sure to give your space a fresh feel this New Year! 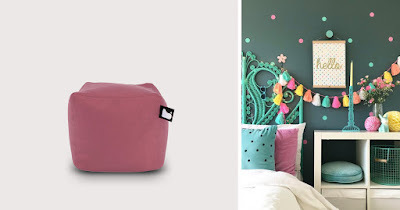 Why not couple it up with a Pastel Bean Bag box and cushion! The Luxury Bean Bag Mighty offers all the luxurious style points of real leather but without the impracticalities. 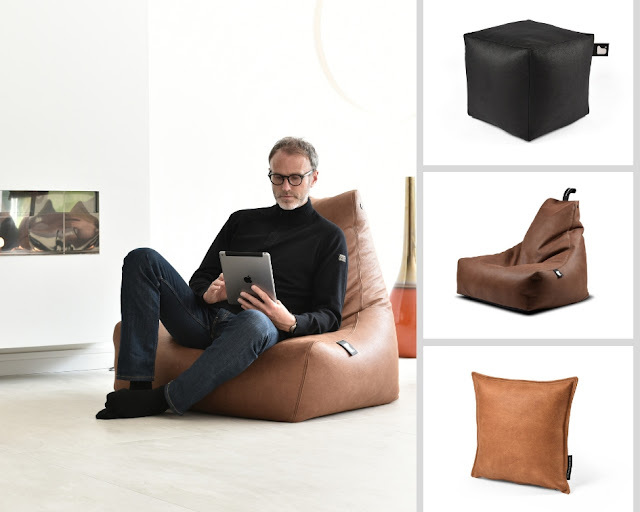 Choose from one of four fabulous faux leather bean bags, with the feel, texture and look of real hide. Not only does this Luxury Bean Bag Mighty tick all the style boxes, but it is surprisingly lightweight and soft to the touch. Also available as a Bean Bag box and cushion. If you are looking for a beanbag that offers a great balance of comfort and warmth, then the Quilted Bean Bag Mighty is the one for you. Offering its companions a whole new layer of comfort and luxury, the Quilted Mighty is the ideal addition to any space. Covered in high quality, heavy quilting, this breathable polyester fabric is splash-proof and easy to clean. 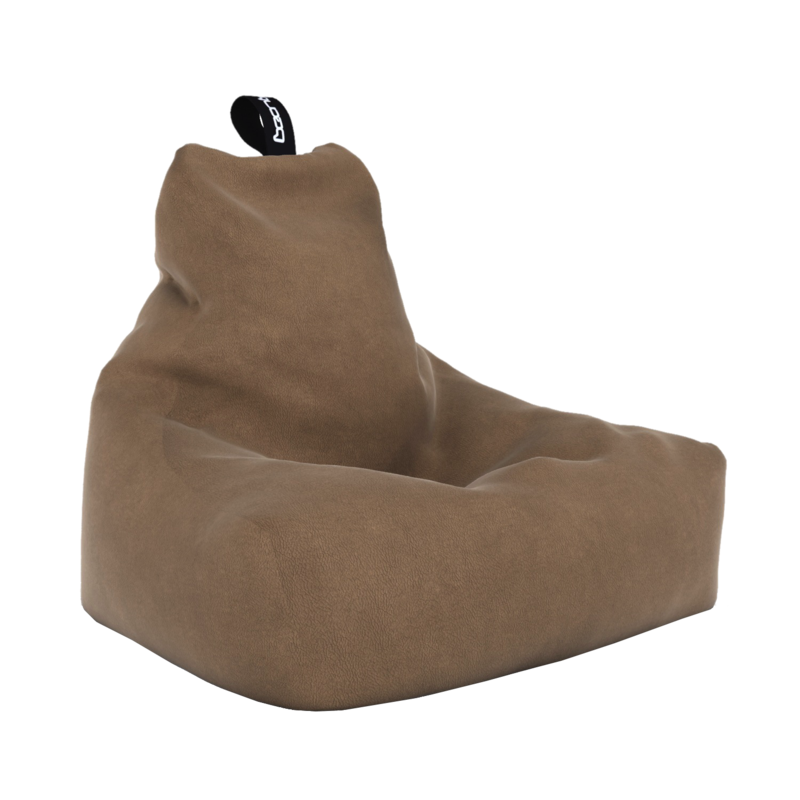 Team up this comfortable beanbag with a bean bag box for maximum comfort! Engineered to defeat the elements, the Outdoor Bean Bags takes lounging to a whole new level. This gorgeous bean bag is ideal for patios, decking and even direct grass use. 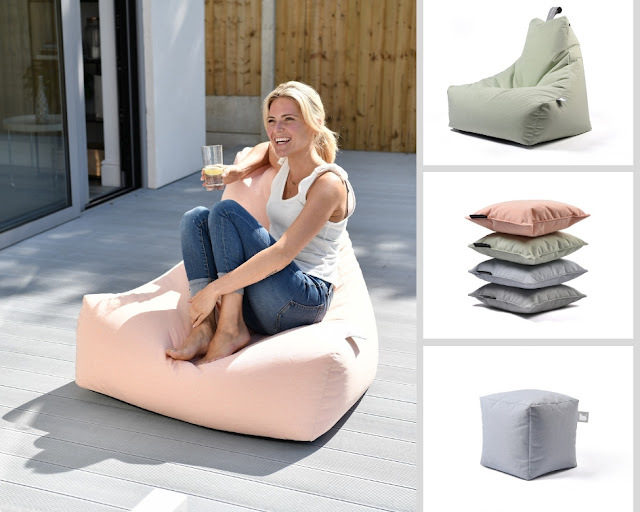 Taking a more modern approach to outdoor lounging, the Outdoor Bean Bag is available in three sizes. Mini, Mighty and Monster. Meaning there is something for the whole family! All eleven fabric colours are fade-proof even when left in direct sunlight. These wonderful waterproof bean bags are also available as a Bean Bag box. If you are looking for a lightweight bean bag that offers both comfort and style, then the Indoor Bean Bag is the ideal choice. Unlike traditional bean bags, the Indoor Bean Bag is designed with breathable pressure-releasing vents, meaning that you can purchase your dream bean bag with confidence. 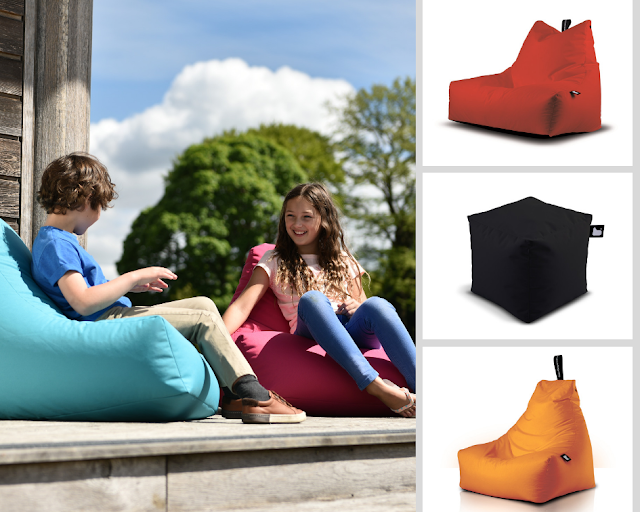 Available in eleven stunning colours, this gorgeous Indoor Bean Bag Mighty is also available in three sizes. Mini, Mighty and Monster. Also available as a Bean Bag Box. Impala Interiors Have Officially Opened Our New Store! Would you like to see our luxurious Impala sofas in person? Come and test out our patented Impala fabrics for yourself in our brand new store! There’s still introductory offers on so pop in-store to bag yourself one of our discounts! The new store is the perfect location to unveil all of our new products. New bespoke sofas, luxury beanbags, statement Lighting, and designer rugs are all available to browse in our brand new shop. Plus if you go in-store now, you will get an exclusive first look at our brand-new luxury bean bags not yet available online! There is a whole new range of colours and textures available that will be online soon, including a plush luxury sheeps wool model. When it comes to your home, why compromise on interior design? The furniture we choose is the difference between a house and a home. We have all felt that deflated feeling when we suddenly realise that the sofa we fell in love with wouldn’t fit! Hours have been wasted pacing around furniture outlets or scrolling through endless pages, desperately trying to find something that will work with our space. Often you may come across the perfect sofa, but the dimensions are all wrong, or you find the style but not the fabric. That’s why at Impala Sofas we help make your interior design dreams come true by offering bespoke furniture. Let your imagination wonder and be bold with your furniture choices. You shouldn’t have to compromise your style simply because you couldn’t find what you were looking for! But How Do I Order Bespoke Furniture? Dipping your toe in the bespoke furniture world may seem like a scary thing to do, with many not knowing where to start. However, at Impala Sofas we like to make your visions become your reality with no complications! No design or style is too difficult, and we are always on hand to help! All you need to do is contact us with a detailed breakdown of what you are looking to achieve. This can be in the form of a sketch, picture examples, a detailed write up or a telephone call. Once we understand what you have your heart set on we can begin the process! At Impala Sofas attention to detail is at the heart of everything we do. Once we have received your instructions we will do all the hard work for you! 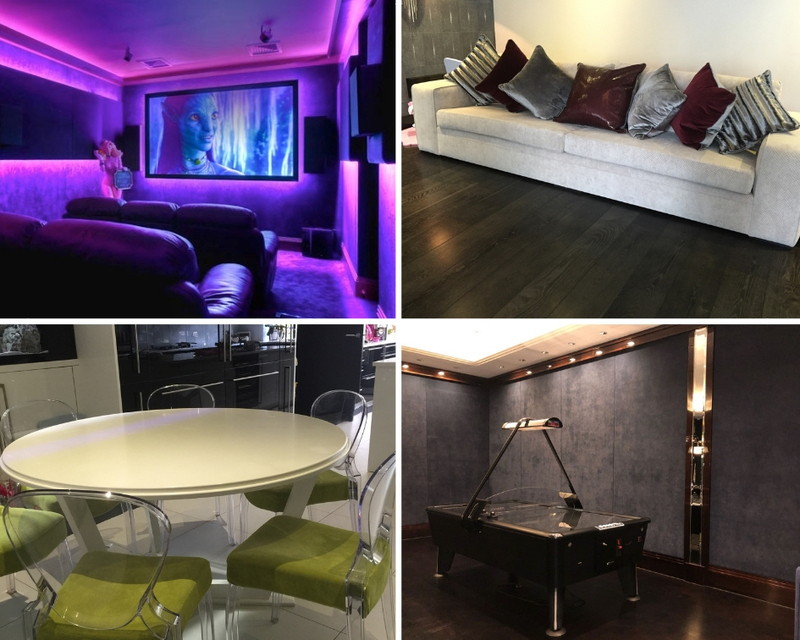 Sit back and relax, one of our dedicated team members will be in touch once we have sourced everything to fulfil your dream design. Once we have sourced everything we will provide you with a full breakdown. This includes manufacturing options, confirmation of the design and a time frame for when your bespoke furniture will be completed. 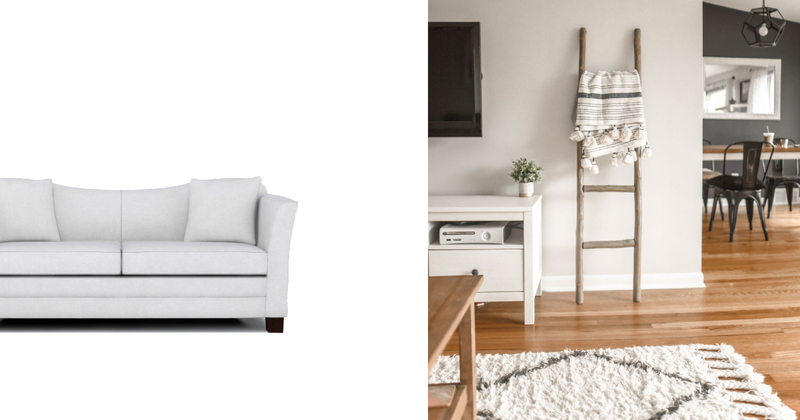 Don’t waste precious hours trying to figure out what sofa or armchair will fit in your space! Contact us today and bring your visions to reality! 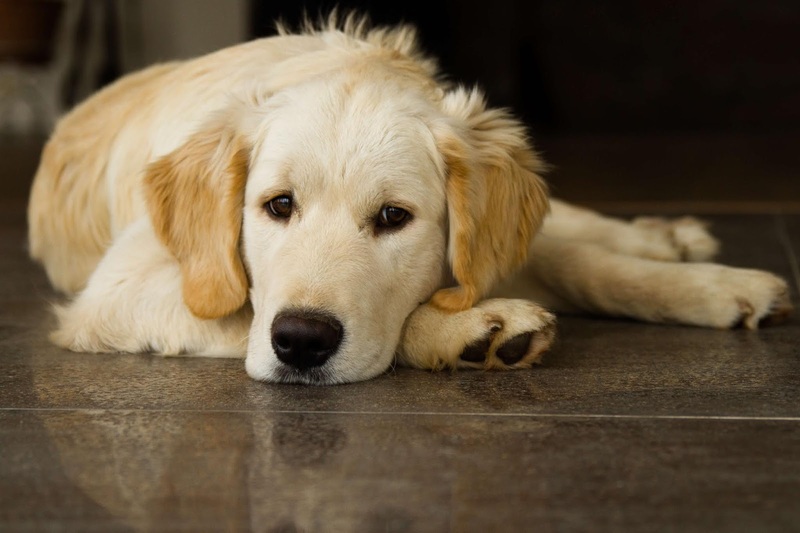 If your dog is a known tiny terror, ripping leather with their claws or having ‘accidents’ on your fabric sofa, then you’ve probably given up on having a nice cuddle and banned them from the sofa! But there are benefits to letting them sit with you. Cuddling a dog gives your brain happy chemicals! A study conducted found that our brains release Oxytocin when we spend time with dogs. Oxytocin is known as the ‘Cuddle Chemical’ responsible for social bonding and parental bonding – this is credited to why people feel like their dogs are their ‘babies’. Not only do we get these happy chemical benefits your dog gets these chemicals too. Your bond grows with your dog every time you spend or cuddle with them as they feel the same happiness as we do from the bonding. Dogs have been proven to reduce stress in their owners. 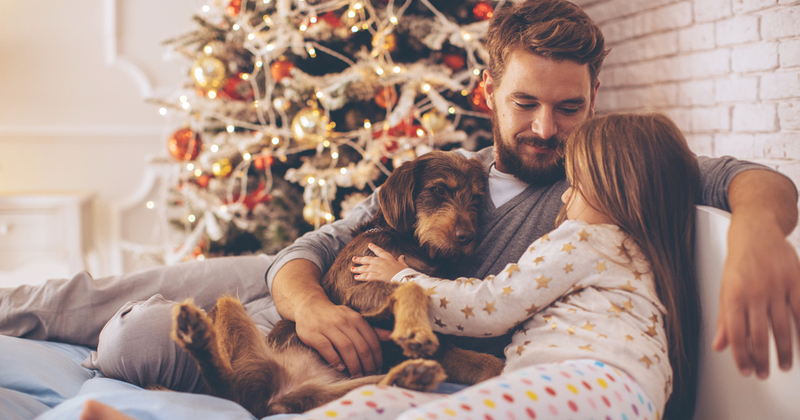 So a nice relaxing evening on the sofa with your 4-legged pal is just what you need. Spending time with a pet reduces anxiety and blood pressure by making you more relaxed and comfortable. According to research owning a dog can even help with depression. Finally, with an Impala Sofa, you don’t have to worry about paw prints, scratches or drool. Impalas revolutionary stain-resistant fabrics are tough yet luxurious! Get your free sample here if you don’t believe us! Our fabrics are strong enough to resist a chewing or any accidents that occur. Cuddle up in comfort and style with your dog, and an impala sofa. The 10 Most Common Sofa Stains, and What to Do! We have all experienced a nasty stain on our furniture at one point or another, but Guardsman, a company that cleans sofas, researched over 4 years the most common stains on sofas. 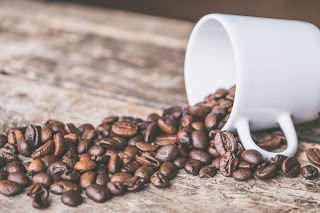 This list is not pretty, it will make you glad it was only coffee on your furnishings! So what can you do if your beloved sofa gets a nasty stain? Its theorised that everything from salt to white wine will get stains out of furniture! Don't use washing up liquid as these are often colourful and will sometimes make the stain worse. The best course of action is usually letting an oxy product sit on the stain for as long as possible. Although most of the time a small amount of the stain will remain. But there’s no point crying over spilt milk. With an impala sofa you’d never have to worry about stains on your furniture, just take a damp cloth and wipe the area – good as new! This has been a life-saver for so many families and pet-owners. There's no need to try all of those expensive cleaners with an Impala. Check out this handy instruction video on how to clean some of these stains and more out of Impala Upholstery using only water! Browse our Range of Stain-Resistant Sofas Here. 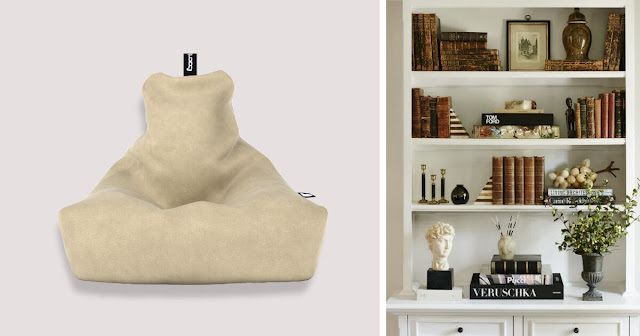 Everyone knows our classic Beanbag Mighty’s are Stain-resistant but they’re also very stylish and luxurious. 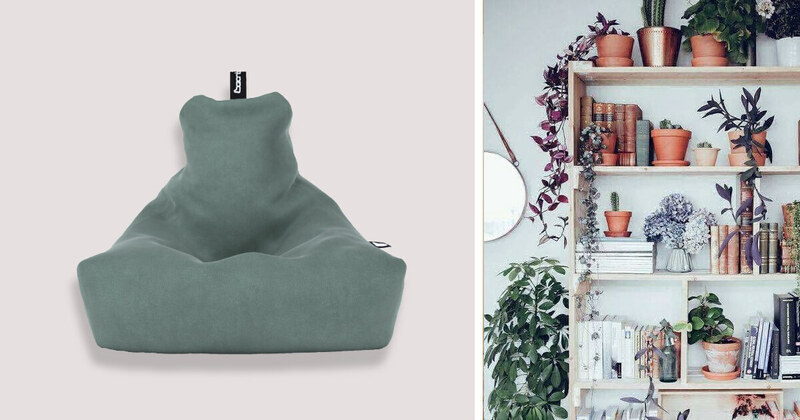 So we have created a beanbag styling look-book to show off how versatile these simple beanbags can be! 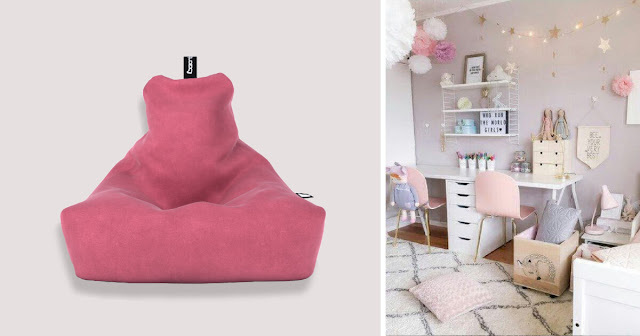 Kids rooms are the perfect place for an impala beanbag, they’re cute, luxurious and stain-resistant, everything you need for lasting kid-proof furnishings! Our signature stain-resistant fabrics mean that whatever your child spills, or draws on them, they won’t be ruined. 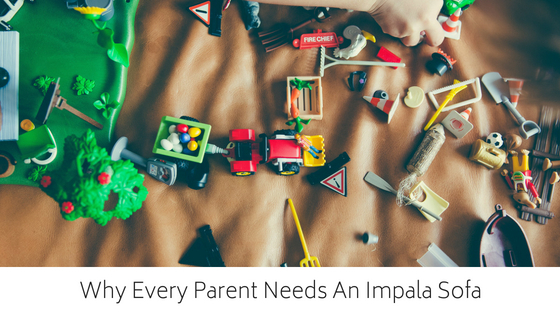 Whether paint and pen, or snacks and Juice, Impala is up to the challenge! The large range of bright colours work perfectly in a nursery or playroom. They are durable too, so you don’t have to worry about them getting worn out or drab! 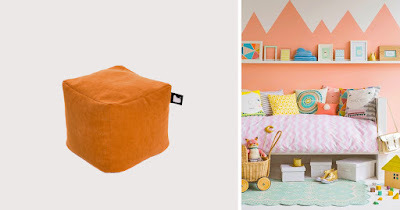 Impala Beanbag Mighty’s are also great for in teens rooms! 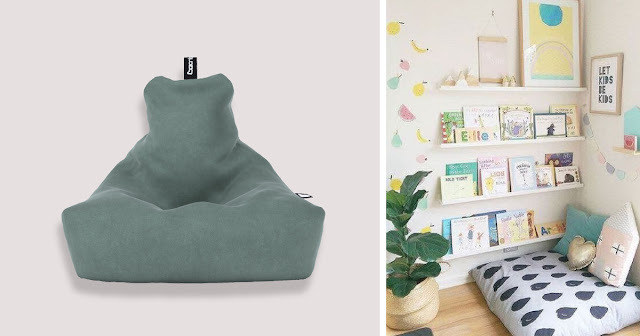 The perfect chair for whatever they’re up to, whether they’re reading their school books and doing homework, or gaming and binge-watching TV-shows. The stain-resistant fabrics are durable enough to survive in even the messiest of teen bedrooms. And they’re sure to love the stylish pop of colour. Beanbags are not just for kids, check out these wonderful reading nooks and comfy rooms that would be perfect with an Impala beanbag. 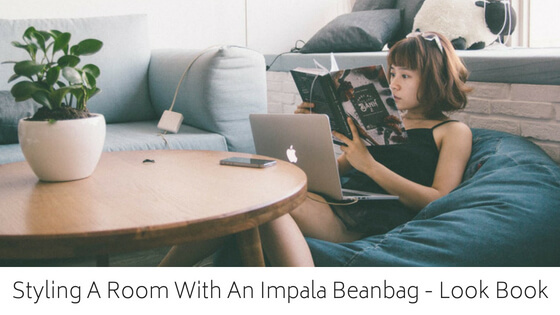 Curl up in comfort with your favourite book and an Impala beanbag! Looking for a gaming chair that is comfortable and stylish? We’ve got just the thing! Level up your game-play setup and take yourself to a new prestige with the Beanbag Mighty! Hit the top of the leaderboard as you sit in supreme comfort and luxury. Crafted from only the best quality fabric The Mighty is not only ridiculously comfortable, but it is also incredibly versatile. Sit, slouch and slump your way through hours of screen time in complete style. Forget those uncomfortable late-night co-op’s, we have crafted something that allows you to focus on what you do best – Winning! The days of worrying about someone ruining your gaming chair with a nasty takeaway stain is over! Yes, that’s right, you can now share your gaming space with confidence as our high-quality fabrics are incredibly stain resistant. Whether you spill tomato ketchup or simply mark your Beanbag Mighty with a black pen, you can get the stain fully out and with ease! 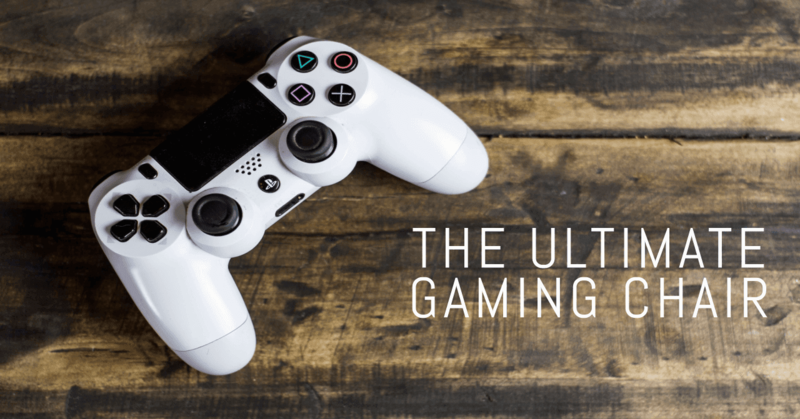 Not only is the Beanbag Mighty durable and stain resistant, but it also comes in a wide variety of high-quality coloured fabrics, allowing you to pick the perfect gaming partner to match your existing décor. If you are struggling to choose the perfect colour then get in touch today, we offer free fabric samples online. If there is one thing that you learn as a parent, it’s that children are so messy! And at this point you’ve all but given up hope of keeping your home perfect and stain-free all the time, it’s impossible! But as the family hub of any home, your sofa needs to withstand the sticky hands and accidents caused by the smallest family members. Here at Impala, our sofas are durable, easy-to-clean and most importantly stain-resistant. 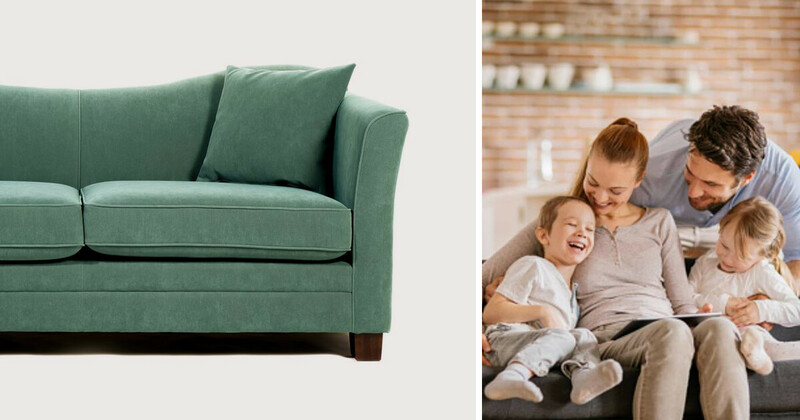 We think our sofas are the perfect choice for young families, as they’re an investment that will last. Upholstered with our renowned Impala Fabrics you won't need to worry about chocolate, paint, pen or any other mysterious stains with an Impala sofa. We feel that child-proofing your furnishings shouldn't mean that you have to sacrifice on your style and fashion, Impala Fabrics have a luxurious look and feel. Yet the durable and stain resistant fabrics will keep your sofa in top stylish condition for years to come. Don’t forget our adorable range of tiny bean bags or beanbag box cubes – perfect for your little ones’ bedroom or playroom! Add a pop of colour to their room with our bright colourful range of fabrics to choose from. Our stain-resistant beanbags and cubes mean that whatever your child spills, or draws on them, they won’t be ruined. They are durable too, so you don’t have to worry about them getting worn out or drab! Whether you’re renting your property long term, or short stay like Air BnB, renting out your property is a viable investment. 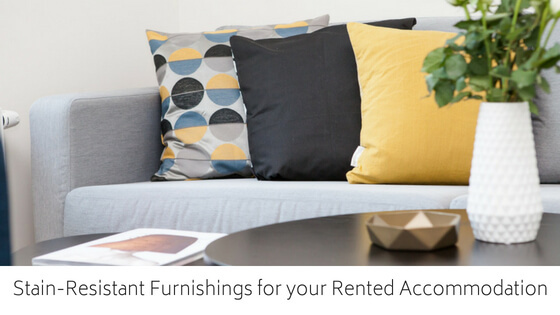 But what should you consider when decorating and furnishing your property for rent? Here’s our advice on how to furnish a rental home to ensure the best quality and durability, even if your tenants don’t take care of it. The furnishings you choose can be make or break in a renting decision, it won’t matter the house is in the perfect location or how spacious the rooms, if the furnishings are stained and tired you will not get a tenant. You will need durable furnishings, as you don’t want to have to replace everything in between residents if they don’t take care of them. 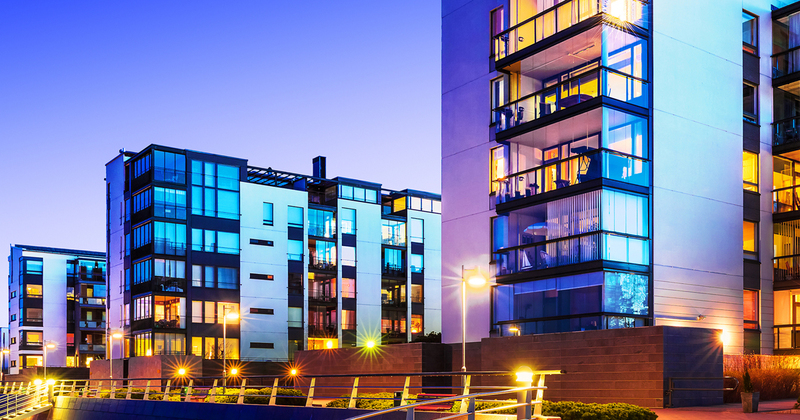 When Renting out your property long term the property must be practical and comfortable. You want it to be an inviting space that someone can consider a home. With a comfy sofa, your tenant can relax on after a long day. You also should consider whether kids or pets will live there as then the property needs to be family friendly. Light coloured, hard-to-clean fabrics such as suede or velvet are not ideal for a family sofa. 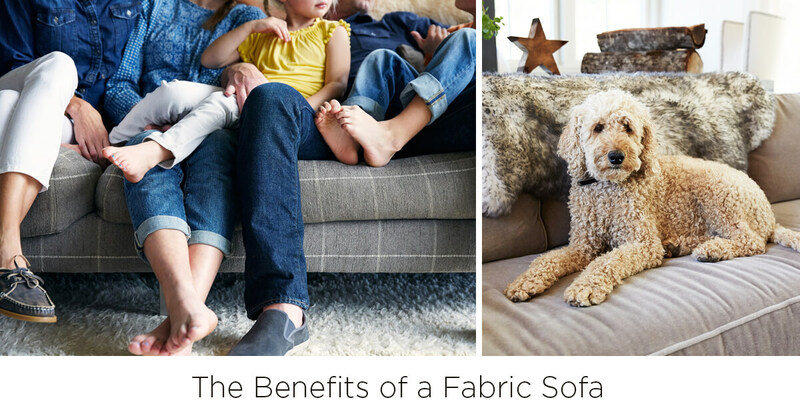 Kids and pets can make a mess of sofas, spilling drinks or marking the fabric. Usually, fabric would be out of the question but leather is likely to scratch under the paws of cats and pets. Impala fabrics could be the solution. Child-friendly, stain-resistant, easily-cleanable and stylish! 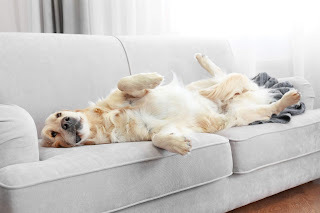 Our Impala sofas have also been life-changing to pet owners - no more muddy paw prints and stubborn slobber stains! Impala sofas are also low-maintenance and durable due to the high-quality stain-resistant fabric, If you don't believe us, see how easy it is to clean harsh stains like red wine, ketchup, and pen in this video. With a rise in stylish and accessible Airbnb rentals over the last couple of years, opening your home for a fee has never been easier! However, with many guests coming and going each week, the furniture in short-term renting accommodation needs to be extremely durable and easy to clean on such a short turnaround. We have all heard the horror stories from cleaners of the messes left behind, and the last thing owners want is to come back to stains on their dining chairs and marks on their sofa! Investing in Impala fabrics for your Airbnb will not only be an investment for your family home but also for your rental business. If you do return to a mark on your sofa, simply wipe away with a damp cloth. Our furniture and fabrics are stain-resistant so you don’t need to worry about any spillages settling into the fabric whilst you’re away. Offices don’t have to be uncomfortable and colourless! Is your office a boring beige or white which you’re unable to paint? Brighten up your office with our rainbow of luxury stain-resistant fabrics to choose from. Having a colourful environment to work in is mentally stimulating and will inspire you and your employees every day when you come into the office. The Impala range is perfect for offices, they’re durable, stain resistant and most importantly comfortable! Their fashionable range of furniture is perfect for your offices, whether small home offices or multi-floor incorporations, the Impala range is an investment in timeless style and durability that lasts for years to come! In an office, it is so important to choose a product that will last, and not get damaged by coffee spills or lunch breaks. With Impala luxury stain-resistant upholstery, if any spills and stains appear simply wipe off with a cloth and the chair is good as new. You need to uphold a professional image around the office, don’t let stained or worn-down furniture impact your business’ appearance. The main thing to consider when buying office furniture is comfort, if you or employees are uncomfortable they will not be an efficient worker whereas a relaxed office environment will be perfect for productivity. As employees spend so much time at their desk, shouldn’t it be a comfortable and homely place. Impala chairs are also perfect for meeting rooms, meetings can be very, long make sure your employees and business guests are comfy for the whole meeting with luxury comfortable office chairs! Our sofas are also perfect as a reception or waiting area essential, with your business guests welcomed by a luxury soft sofa, you're already winning their first impressions! 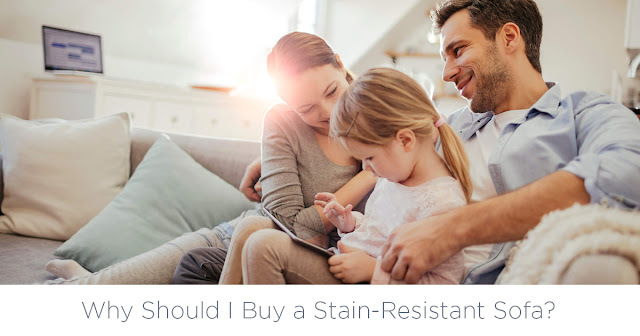 Why Should I Buy a Stain-Resistant Sofa? In every home, the sofa is the family hub, a space for everyone to relax and come together. However, as any young family or pet lover knows, accidents happen. Whether its finger paint, wine or pet stains, there’s bound to be an incident sooner or later. 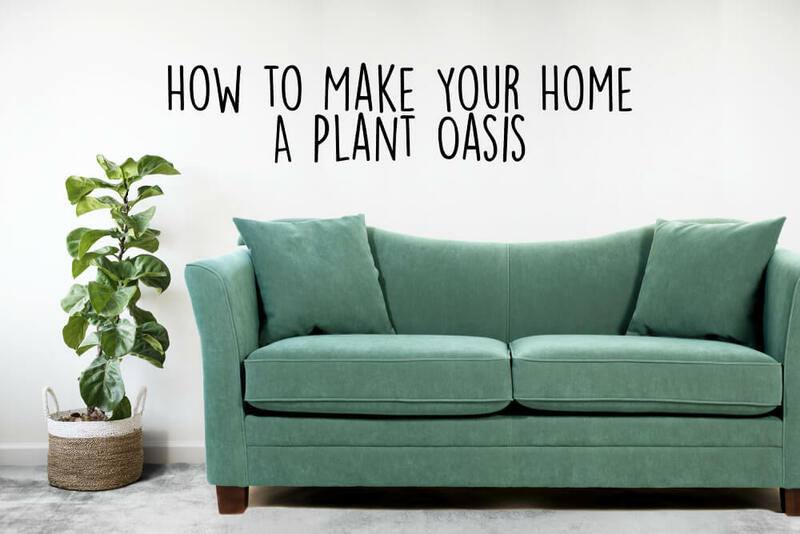 But when stains happen to your fabric sofa, it can be devastating, a sofa is an investment and you don’t want it to be tarnished from the first spill. That’s why Impala created their range of stain resistant sofas and chairs with families in mind, no one can avoid stains on their sofa especially with little ones. Impala realised this issue and developed their tailor-made products upholstered with the revolutionary Impala and Impala Velsoft fabrics built to last. Impala sofas are stain resistant, stylish and durable! 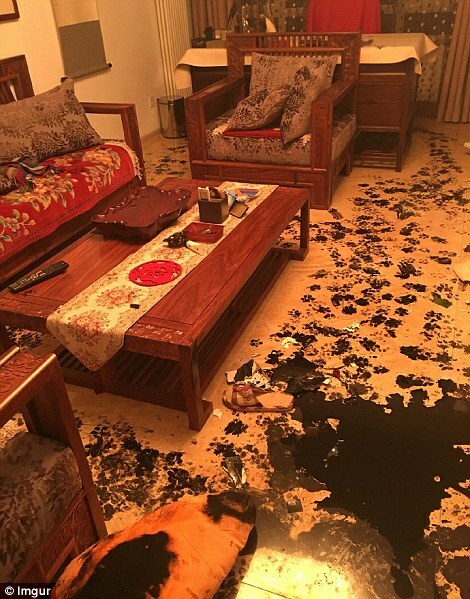 After any accident just clean the area with water and the stain will come right out! Which is perfect for any family home. If you’re still unsure take a look at our Customer Testimonials, to see how well our stain resistant technology has held up against their toughest spills! Our customers have truly put these sofas through some tests, including wine, vinegar and alcohol! Many parents and pet owners swear by impala for its stain resistance and durability. Students are messy, sure but are they really that bad? A quick Google will bring up some horror stories of university living! We’re always hearing about how students are irresponsible and messy but how can we protect our properties and student spaces from damage? But don’t worry this doesn’t have to happen to your property! Here are our top tips on how to student proof your rooms for student housing or common areas. Whilst more durable products can be more expensive, cheaper products will have to be replaced more often. So, more resilient furnishings would be worth it in the long run. Flooring that can't be stained like tile and lino is perfect for Student housing. 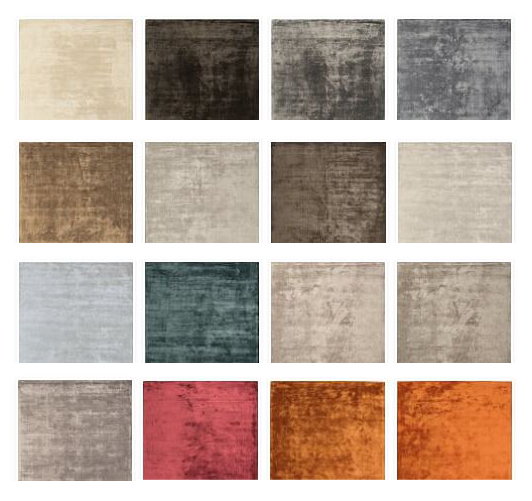 However, if you want something more homely why not try dark carpeting, there are specifically student proof carpeting now available to buy. 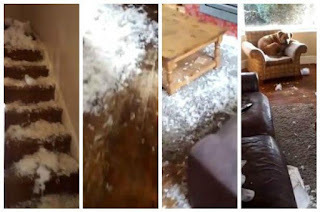 Sofas are usually the first thing to get wrecked in a student home, one party and its guaranteed to be stained or ruined. Having a durable and stain resistant sofa is crucial to maintaining a clean and comfortable space for students year after year. Impala sofas are a great option for this. They have a revolutionary stain resistant fabric that is exceptionally hard to stain and incredibly durable whilst still being soft, comfortable and stylish. A real long-term investment for your property. Several companies now supply interior furniture that is purpose-built for student housing, durable and stylish. Hardwearing and washable paint is also a necessary addition to any student area. The walls must be able to withstand a few knocks, marks and a whole lot of blutack. Popular paint brands now have expanded their range and now offer easy-care washable paint in a whole range of colours. 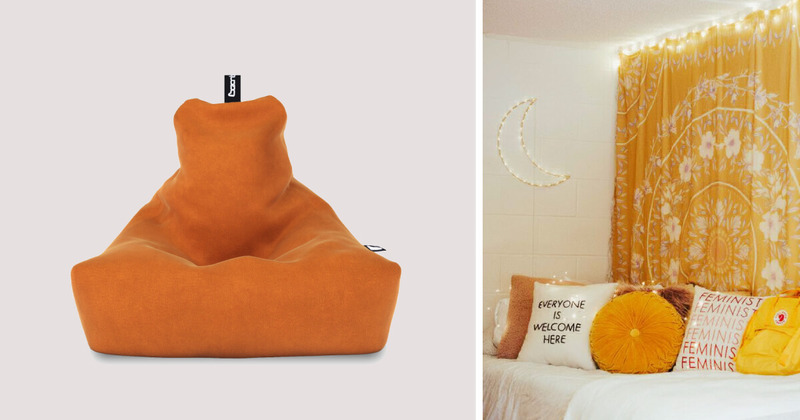 Beanbags are the ultimate studying or relaxing chair! A bonus to any student area or living room is a place for students to kick back and work on their required reading, or the latest video game. 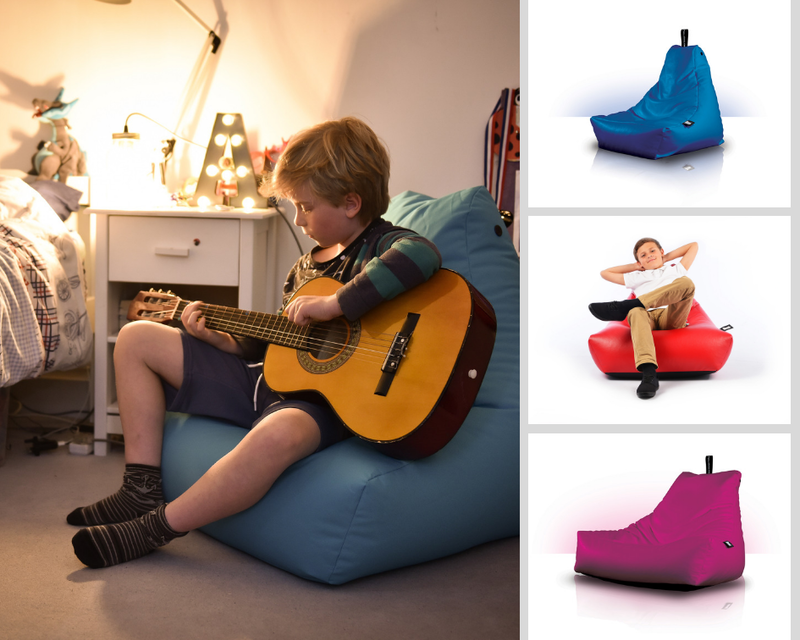 Impala Sofas offers a stunning range of comfy beanbags in a range of bright fun colours. These beanbags are made from a durable and stain resistant material that is perfect for any student zone. Tag your university or landlord to change your sofas! Make sure you pick the best seat in the house this Winter, with our simple and practical sofa-buying guide. Our years of experience within the industry has taught us many things when it comes to purchasing the perfect sofa. After catering for a multitude of customers with varying needs and preferences, we are confident that we know the secrets to picking the right sofa! You may think that the colour, style, and price may be the first, and most important, port-of-call when it comes to picking out your dream sofa or chair, however, there a few other critical considerations before you make your final choice. 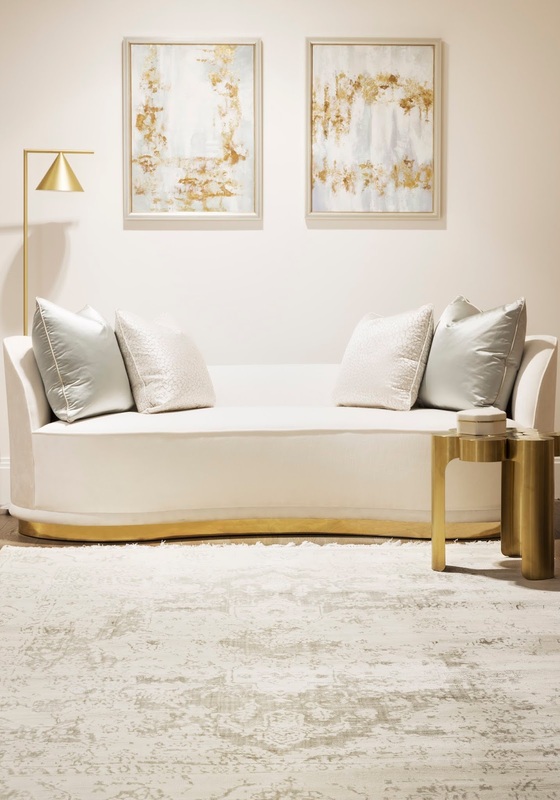 Aesthetics are undoubtedly important, but the size, scale, and composition of the sofa are crucial to how practical it will be in your home, as well as the resilience and durability of the fabrics. Step 1 | Measure Up. How much of the area would you like to fill? Where will other furnishings be placed? Will there be free space for a coffee table, for example? What shape is the room? Are there any unusual corners or sections? 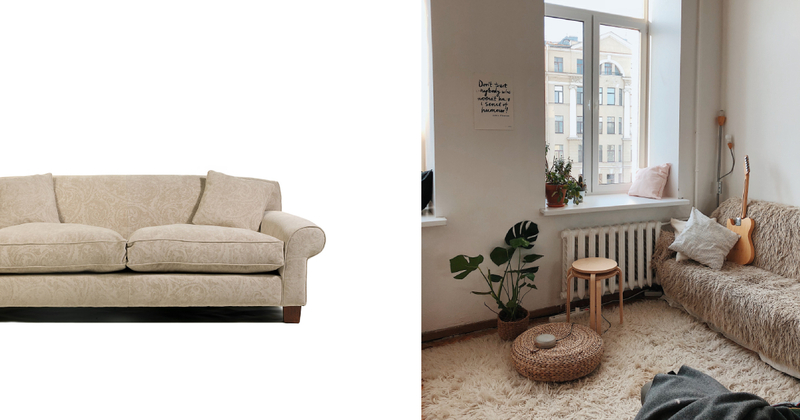 Asking these questions will help determine the composition and size of your sofa in relation to your room. If you are lucky enough to have a large living room with an abundance of space, utilizing the area with larger shaped sofas or multiple sofas is always a great idea - especially if you love to host! If your room is on the smaller size we suggest opting for a more petite two-seater sofa, as to not overcrowd the living area. You can only use beanbags, poufs or smaller armchairs if you require more seating. However, when purchasing a smaller sofa for a smaller room, we recommend that your sofa complements the space - after all, it will most likely to be the main focal point. Step 2 | Location, Location, Location. You have decided on how many sofas you want and how big they will be, now you need to decide where they will go! The location of your sofa is crucial to how you intend on using it - do you only relax on the couch whilst watching a movie? Or do you have a big family that uses the sofa as a base for activities and relaxation? 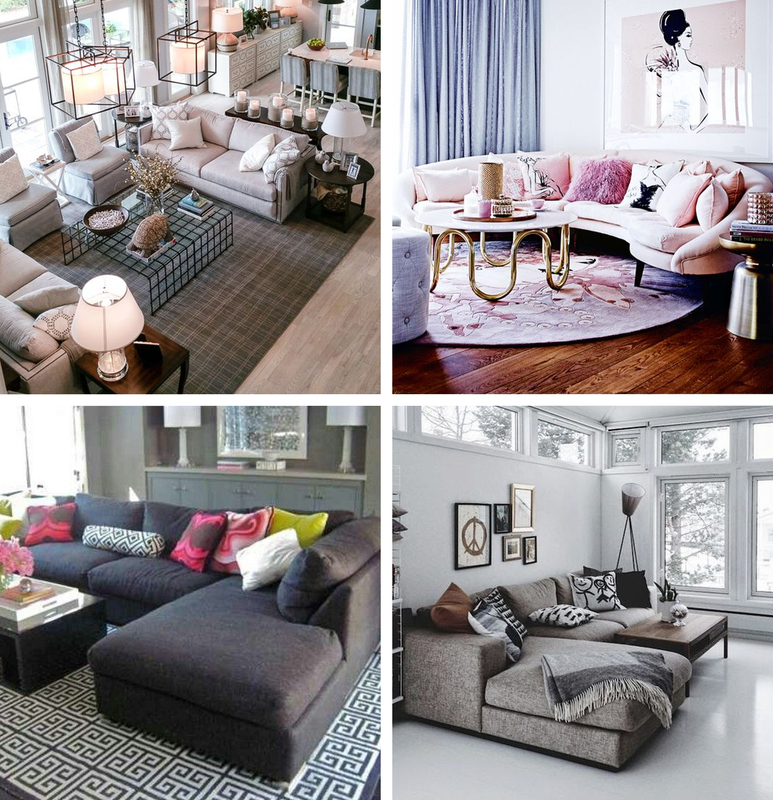 These are the questions that will help you find the perfect spot for your sofa. 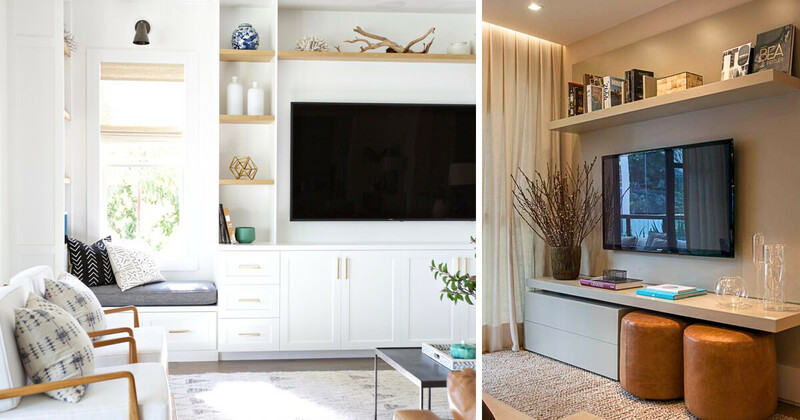 If you're a movie buff and intent on keeping up with the latest Netflix series, then you will need to ensure that your sofa is located in the optimal position in front of the TV. Find where this area is and measure up the dimension of your desired sofa in relation to it - will it fit? If purchasing multiple sofas, will they also be in view of the screen? Like to host? Organize your sofas, tables, and armchairs in a circular formation within the living room, this will help keep conversations flowing all night long! A large coffee table placed in the center of the formation is a great option for games and food. This layout is also extremely good for large families with young children, making sure you are able to comfortably relax together. Think carefully about doors, fireplaces and any other fixed fittings before committing to that beautiful new sofa. Will your chosen sofa block any entrances into the room? Will the L-shape make it look clumsy and off-balanced in your room? The space should flow easily and allow for lots of spare walk-room. Step 3 | Pick the Shape. Classic sofa - Compact and traditional, the classic sofa can be either a two-seater or four-seater. Its straight and rectangular shape makes it the go-to sofa for smaller rooms, slotting into even the smallest of spaces. Corner sofa - A corner sofa is a great way to structure a room. Wrapping around a space nicely, it is a great way to maximise space and creating more foot space. L-Shaped sofa - This is a great sofa choice for those with plenty of available room. Suiting a more minimal style of decor, this clean shape works well to divide a space, especially in open-plan layouts. Rounded sofa - A rounded corner sofa works well in smaller rooms, wrapping around to create a warm and cozy space. This is a great choice for big families that want to pile on the same sofa and a great investment for a media room. Step 4 | Fabric or Leather? Choosing the fabric for a new sofa will determine how much maintenance it will need, so it is important to think, research and test samples before you buy! The chosen fabric will need to be suitable for your lifestyle and habits, remember that functionality is key here. Best for families - Light colored, hard-to-clean fabrics such as suede or velvet are not ideal for a family sofa. Leather is undoubtedly easier to clean in this circumstance and the investment will ensure that you will not need to replace your sofa through wear, however, leather may not suit interior. In which case, Impala fabrics could be for you! 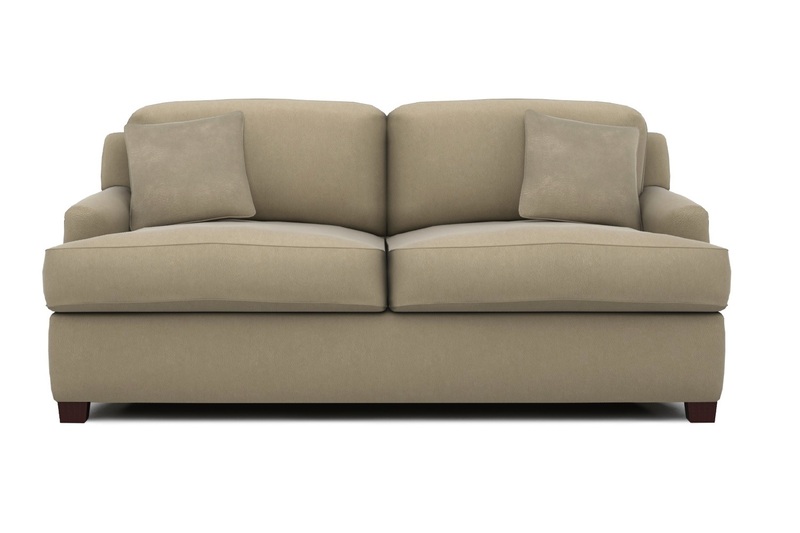 Child-friendly, stain-resistant, easily-cleanable and stylish our sofas are the best solution! 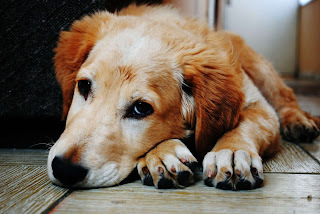 Best for pets - Similiar to children, avoid hard to clean fabrics like suede or velvet. Leather is likely to scratch under the paws of cats and pets. 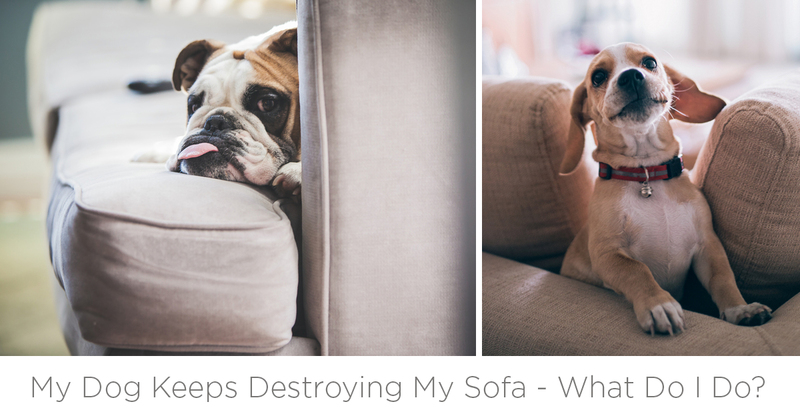 Our Impala sofas have been life-changing to pet owners - no more muddy paw prints and stubborn slobber stains! Low-maintenance - Although fabric sofas are renowned for being high-maintenance, we believe that ours are the exception! If you don't believe us, see how easy it is to clean harsh stains like red wine, ketchup, and pen in this video. Step 5 | My style. 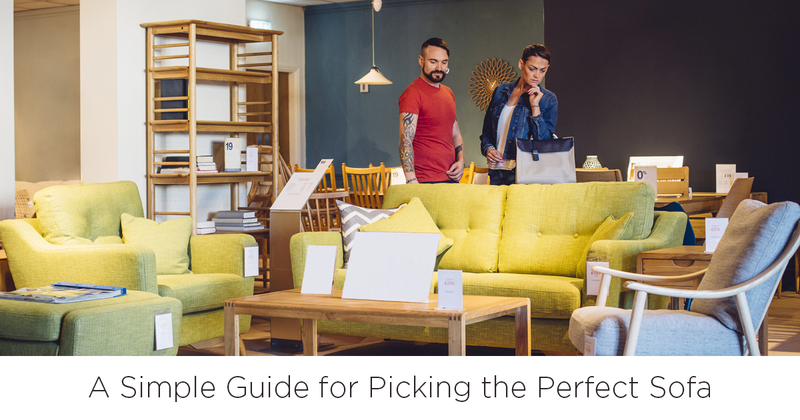 When picking a new sofa you need to think about your own personal style. 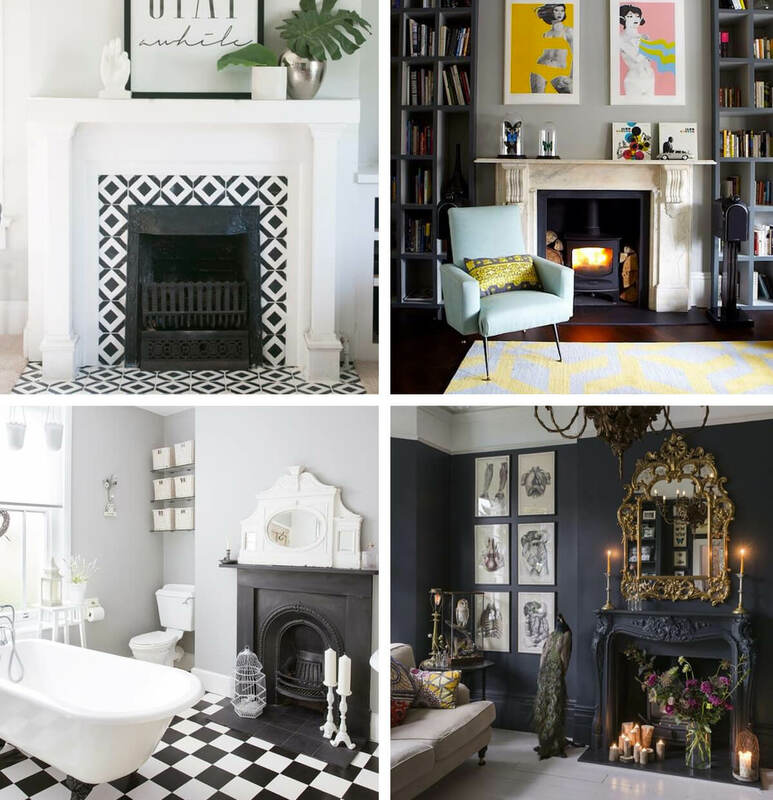 What does your home look like in terms of interior design - is it modern, homely or unique? Do you like mismatching vibrant colours or do you prefer more subtle tones like greys and whites? It is important that your sofa is a representation of this style and works well with the room. Longer sofas, such as a corner sofa, are ideal for naps - especially if you are on the tall side! Deeper sofas are great for comfortable seating. They are also especially great for young families. To test the shape and size of the sofa, draw up the dimension on paper, cut to shape and lay on the floor of your living room. Play around with the composition and location. Remember that you may want to change up the layout of your living room in the future, will your chosen sofa allow for this? How tall is your room? If your ceilings are relatively low, in new-build homes for examples, purchasing a low sofa can create the impression that your ceilings are higher. Alternatively, If your ceiling is high, a stronger, high-backed sofa may be the best option for you. Interested in the child-friendly and pet-friendly sofas we have here at Impala Sofas? Discover our range today. Whether you are just about to have your very first child or have been a parent for while now, making sure that your home is a safe environment for your child is of the utmost importance. A child-proof home can make all the difference in your daily life, ensuring that your children are kept away from harm and that your sanity is maintained! Mount your TV - Keep your heavy television out of the way of tiny inquisitive hands by mounting it secure on the wall. 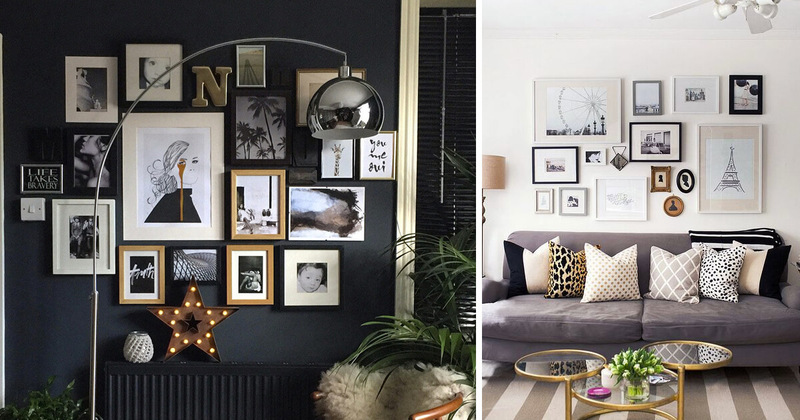 There are many stylish ways to do so, and it is a great way to make the most of your wall space. You could even build a custom storage unit around the TV - just be sure to secure these from falling too. Hang your photos - Instead of delicate photo frames displayed on low surfaces, opt for a more stylish and child-friendly photo wall. All photographs will be in the same place and will be less likely to knocked by children. Child-friendly sofa - As one of the key components of any living room or lounge area, it goes without saying that your sofa needs to withstand sticky hands and messes caused by the littlest members of your family. Our sofas here at Impala are upholstered with our renowned Impala fabrics - durable, stain-resistant, easy-to-clean and luxurious in look and feel, we think our sofas are the perfect choice for growing families. You won't need to worry about chocolate, paint, pen or any other mysterious stains with an Impala sofa. 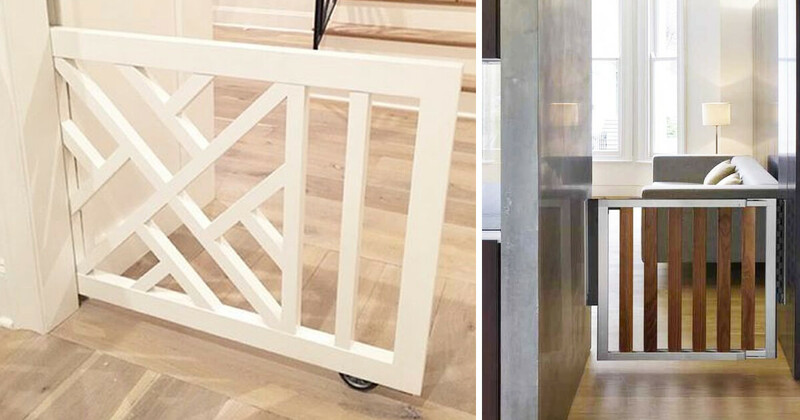 Child Gate - Who said baby gates have to be ugly and plastic? Make your own, or commision a professional, and create a bespoke child gate that perfectly suits your home. 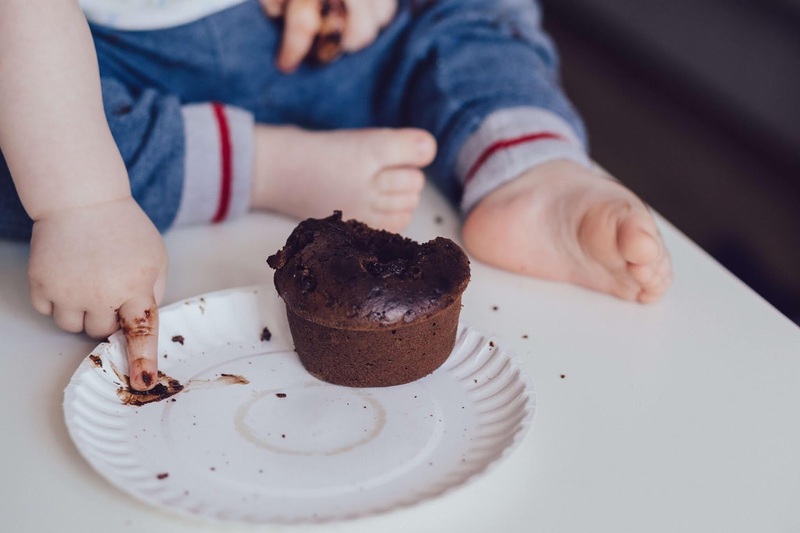 You can keep children out of certain areas to keep them clean and mess-free, or you can use the gate as a method of safety to avoid children playing unattended in the kitchen, or rooms with potentially hazardous objects. Fire Cover - Keep those little fingers from flames, soot and harm by covering up your fireplace. Forget old-fashioned metal fire guards that seemed to take up the entire room, and opt for a more inventive and unique way of covering up that fire. We love the idea of a chalkboard fire cover that is both child-friendly and fun. Did you know that our Impala fabrics and furnishings are perfect for any business, whatever the sector? From restaurants and cafes to Airbnb rentals and caravans, our stain-resistant and easily cleanable fabrics will ensure your furniture is kept looking as good as new, no matter who comes through your doors! Restaurants and other food-service sector businesses have definitely seen an increase in the amount of people choosing to eat-out over the last few years, with more and more people taking to social media to share their dining experience with their friends and followers too. This means that your restaurant, café or bar needs to look for the part, whilst remaining practical and comfortable. 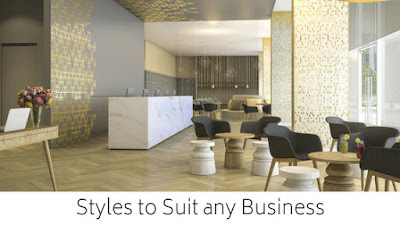 A clean and polished interior décor will not only attract new customers but also represent your business in the best possible light to members of the public on social channels. For the best possible appearance, it is important that your restaurant’s furnishings are kept clean, up-to-date and in good condition – after all, no one wants to sit on a sticky chair or a torn sofa whilst on a romantic date! Whatever the style of your business, we have sofas, dining chairs and an abundance of upholstery fabrics to choose from here at Impala Sofas. There’s no need to worry about people spilling their drinks, spaghetti Bolognese or tomato ketchup on the furnishings as all of our fabrics are high-performance, meaning they are exceptionally easy to clean and are stain resistant, all you need to do is simply wipe away. Not only are our products a great option to prevent stains and spillages, but they are also luxurious in touch, modern in style and extremely durable. What more could you want for your restaurant? 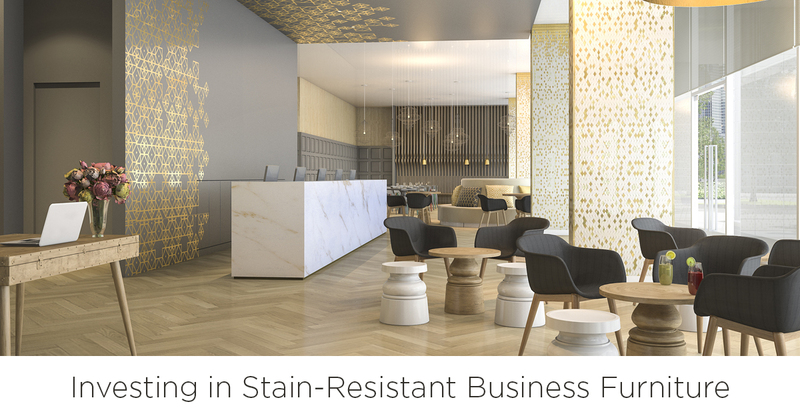 Another area within the hospitality sector that should consider investing in stain-resistant, cleanable fabrics & furnishings is the hotel and lodging industry. With many guests coming and going each week, the furniture in your accommodation needs to be extremely durable and easy to clean on such a short turnaround. We have all heard the horror stories from hotel cleaners of the messes left behind, but with our Impala fabrics, their cleaning workflow can drastically quicker and your furniture bill much lower! From chairs for your dressing table, sofas for your executive suites and upholstery fabrics for your headboards, our stain-resistant performance fabrics will ensure that your hotel room can handle whatever is thrown at it! Of course, it isn’t just hotels that need to consider the suitability of their furnishings. With a rise in stylish and accessible Airbnb rentals over the last couple of years, opening up your home for a fee has never been easier! However, as these rental apartments and houses are usually personal homes opened up for a set amount of time, the last things owners want is to come back to festering stains on their dining chairs and dubious marks on their sofa! Investing in Impala fabrics for your Airbnb will not only be an investment for your family home but also for your rental business. We know it’s difficult for guests to stay completely clean and accident-free whilst staying in your home but we feel that your furniture should not have to suffer because of this - if you return to a mark on your sofa, simply wipe away with a damp cloth. Our furniture and fabrics are stain-resistant so you don’t need to worry about any horrid spillages settling into the fabric whilst you’re away. If you have ever visited student halls accommodation on a University campus then you might have been surprised with the mess! Freshers week, house parties and the lust for fast-food takeouts means that furniture and cleanliness are often far from top priority. Student accommodation furniture is often left in a bad way come the end-of-term, but it doesn’t have to be this way! We can’t promise that your chairs won't go missing or that your sofa won't end up in a random corridor somewhere, but we can assure you that any stains and spillages will be rectified and your furnishings will look brand new all term round. Our fabrics are easy and fast to clean and require no specific cleaning fluid or utensils – making this particularly beneficial for students. If you thought students were messy, then you should see children! 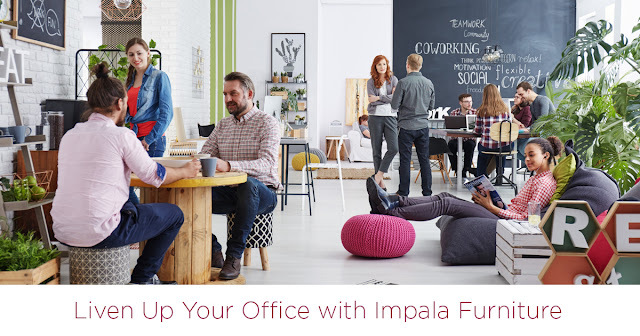 Here at Impala, we believe our furnishings and fabrics will not only benefit Universities but also all aspects of the educational system, from colleges and libraries to schools and nurseries. Young children are renowned for causing spillages and stains at home, but how could you protect your classroom or educational setting? Well, we sell a variety of fun, comfortable and durable beanbags perfect for school children – these are made with our same stain-resistant fabrics that are exceptionally easy to clean. Our Impala beanbags & cubes come in different sizes and colours and are perfect for a chill-zone or reading area. Depending on your setting, our sofas and armchairs are also a great option for kids, or teachers to chill out on in the staff room. Making an appointment with a healthcare specialist, such as a doctor, dentist or optician, can be a daunting task at times, so why not make the experience that much better by providing luxurious seating for your patients? After all, the waiting room of any surgery or clinic really sets up the patient for the experience that they will get and should reflect well on the business. Worn-out chairs, dirt covered sofas and stained children’s beanbags will have prospective patients running a mile – if you fail to maintain the cleanliness of your premises, what might that say about the sanitation of your procedures? Our stain-resistant sofas, waiting-room chairs and children’s beanbags will work wonders in a healthcare environment and ensure top levels of hygiene. Other businesses that should take pride in their hygiene standards are residential care homes. With a high emphasis placed on keeping premises clean, safe and presentable for patients and visitors, it would be extremely beneficial for residential care homes to invest in Impala furnishings or Impala upholstery fabrics. Armchairs are of course the top priority for care homes, as these will be the main furnishings used by the residents and their visiting relatives. To keep these armchairs in great condition year after year, they need to be upholstered in the toughest of fabrics. Our high-performance fabrics are easily cleanable; with spillages and stains being removed in a matter of minutes meaning the chair is not out-of-use for long! 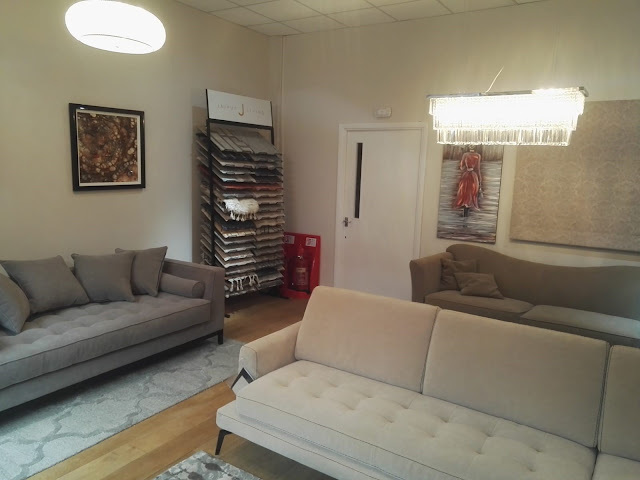 If you would like to invest in Impala Sofas or Impala Fabrics for your business, please feel free to browse our sofa, chairs or beanbag ranges or contact us to discuss what we can do for you. 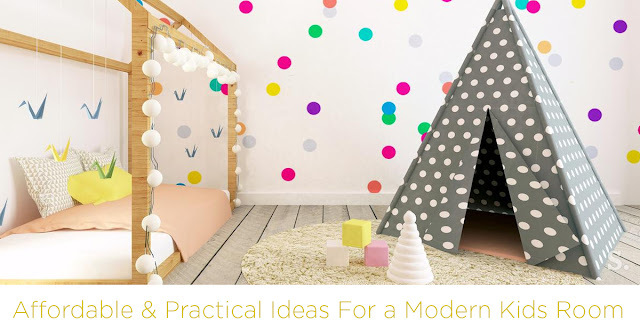 Creating a bedroom or playroom that is both creative and affordable can be an extremely tricky task! With unrealistic goals of perfectly painted murals, themed princess rooms and swings, slides and toys galore, constantly being shown to us on social media sites such as Pinterest and Instagram, it is hard to not to feel down-hearted with your child’s somewhat mundane bedroom! But what if you could create a space for your child that looked just as good as those photographed in the magazines, but for a fraction of the cost? A room that was practical, safe and easy to maintain and that you weren’t afraid of letting your them loose it, to play and craft to their hearts content. Well, here at Impala, we have seen some great ideas for affordable, creative and practical children's rooms over the years and we’d like to share them with you. The content of a child's room can often get overwhelming, With each Christmas and birthday, their toy stash grows that bit bigger and their wardrobe begins to burst at the seams. Maximising floor space in a child's room is especially important, which is why we suggest that if your child is old enough, and confident enough, then opt for a raised bed! The area underneath can be used for extra storage space, a play tent or a reading nook. Gone are the days of painting a room one entire colour – doing so is not only expensive, but it is also highly likely that your child will long for a different colour in a few years. We suggest instead finding more creative ways to paint a childs room. For example, if you have sample paint testers around the home, use these to create patterned polka dot walls, or paint a half-painted feature wall – both these options can be found in all the childs interior magazines at the moment and then look great! If there is one thing that you learn as a parent, it is that children can be messy! Stay away from hard-to-clean and sensitive fabrics in a kids room, this will only end in disaster! Instead, purchase stain-resistant fabrics like Impala Fabrics. Our stain-resistant beanbags and cubes mean that whatever your child spills, or draws on them, they won’t be ruined. They are durable too, so you don’t have to worry about throwing them away after a short period of time. 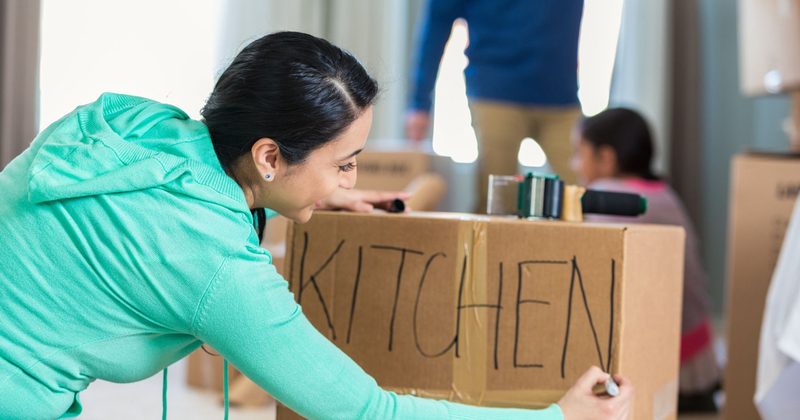 Moving homes can be one of the most stressful tasks of your adulting life. Ensuring that all furniture is kept in-tact, logistics are running smoothly and everything is sorted in the correct boxes before moving day is a huge responsibility and the whole process can be extremely time-consuming. Moving house is a great way to refresh your inventory and start afresh. 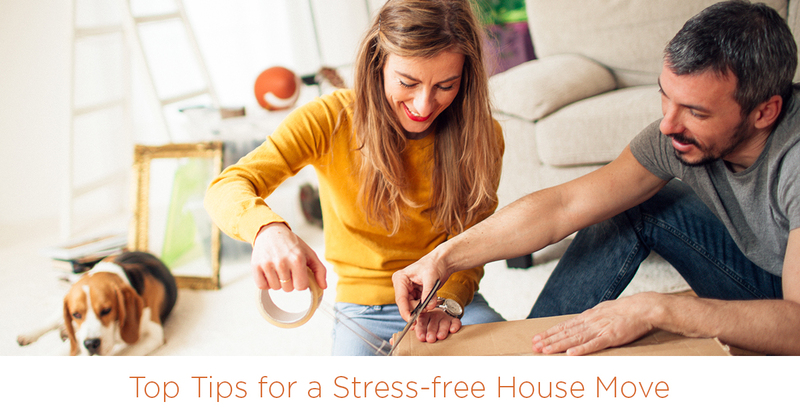 Before the process begins, it may be extremely beneficial to declutter your current home. Sorting through your furnishings, accessories, memorabilia etc. can help you to visualize what items you want to take to your new space. How many things do you have sitting in your attic, cupboards or garage for years-on-end doing nothing? It is important to get rid of these things before moving so that the cycle of storing does not start again. We suggest the method of 'keep' 'bin' 'give' boxes - this involves a box for keeping items that you would like to transfer to your new home, a box for throwing away the items are that are no longer of use or value and finally, a box for items of value that can essentially be given away to charity or sold on as second-hand goods. After you have decluttered and hopefully decreased the number of items you have left to pack up in boxes, it's time to get organised! 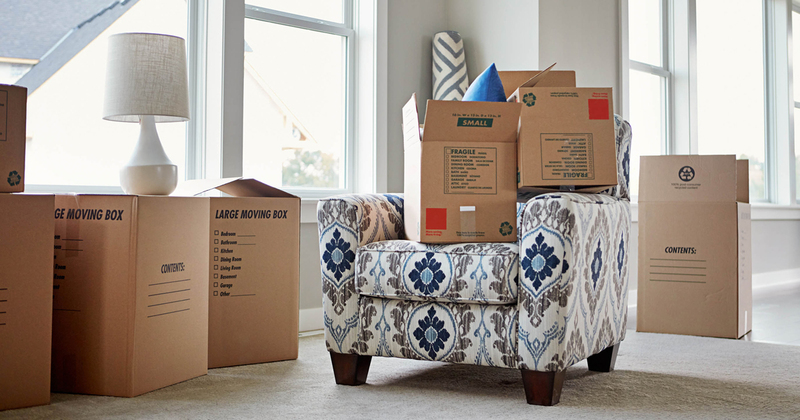 Use labels on your boxes to plan where your items are going to go in your new home, this gives them a category and helps you to visualize your new space. You can also tag larger items and pieces of furniture so your removal team will know where to place them. If ordering new products (like your new Impala Sofa) make sure that your delivery time coincides with your move-date. This will save you two amounts of delivery fees and will mean that you won't have the task of manoeuvring large furnishings out of your current house. Don't forget to separate the essentials for your first few days in your new home. You will not want to be scrambling around trying to find the boxes that hold your kettle, cutlery, pet food, children's toys, toiletries etc. so it is always best to put together a box of these things and have it close by as you begin to unpack. Don't begin unpacking the dining room or the spare room first, start with the room that will be most important in getting you settled! Before this, ensure that the biggest pieces of furniture are brought in and are in the right room first so that you have spare space to move around. After this, work on the rooms that you will need first including the kitchen, bathroom and utility rooms. Are you moving home soon? Would you like to refresh your worn-out sofa with a more durable and cleanable one? Our Impala Sofa's are upholstered in our exclusive Impala Fabric's stain-resistant and luxurious fabrics that are perfect for sticky little fingers, or muddy little paws! We also sell armchairs, dining room chairs, beanbags and cushions. The colder weather is creeping in and the countdown to Christmas has officially begun. 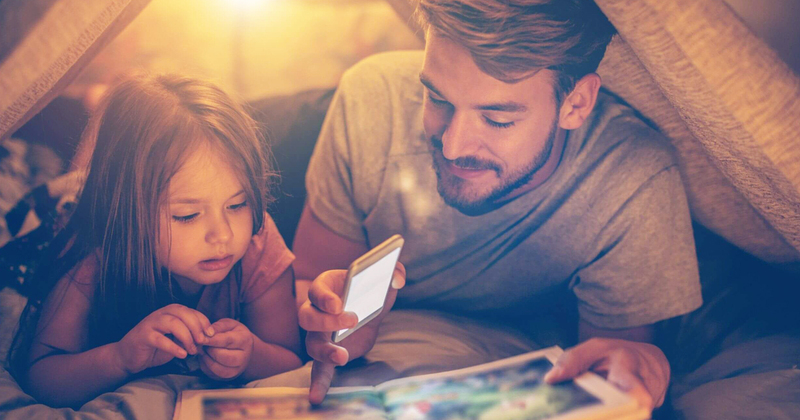 With just over seventy days to go, we are sure that if you are a parent with school-aged children then you're already thinking about how to keep the kids entertained at home this Winter! 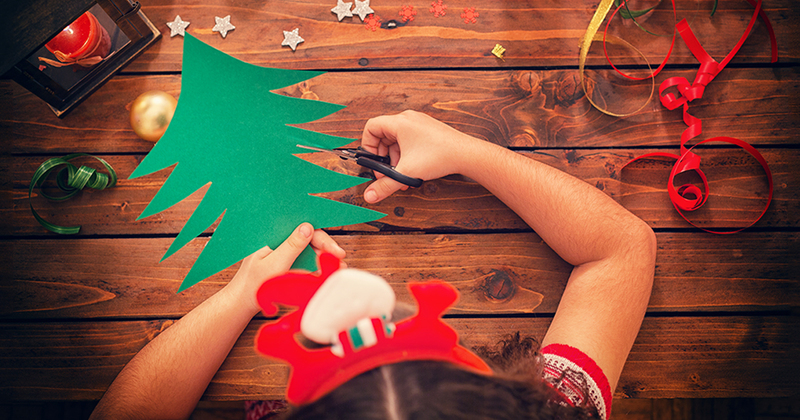 It can be a tricky task keeping kids engaged, happy and occupied whilst indoors over the Christmas break but unfortunately, the Winter weather makes staying inside a necessity. 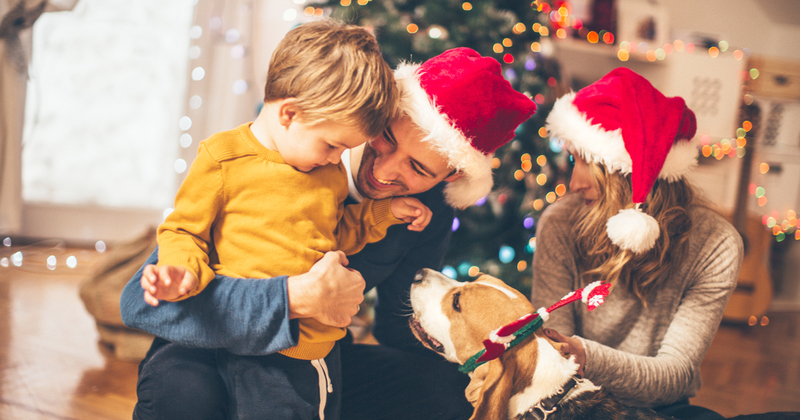 To help you plan a smooth and stress-free holiday, we have compiled a list of fun ideas for the whole family to make the most of the holidays! 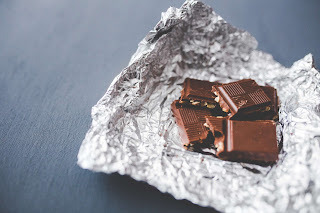 Much like an Easter egg hunt, treasure hunts can be a great activity for preoccupying children for a long period of time - and they're simple and inexpensive too! All you need is a few treats (the chocolate or toy kind) and some good hiding spots! If you want to go 'all-out' with it, spend some time creating pirate-style treasure maps and setting out clues for the children, this will add to the fun of the activity and essentially make it last longer too. Starting at the end of November and running all the way up to Boxing day, a mixture of Christmas classics and new movies will be showing on the television. Take advantage of all these free movies and have a Christmas film marathon! Set up camp on your Impala sofa or in a fort (see below), get your snacks ready and enjoy your chilled out day relaxing in front of the box. Blanket forts and dens are a classic childhood favorite! Gather up all of your blankets, duvets, and cushions and allow your child's imagination to run wild creating the perfect den. You can even watch a movie, have a sleepover or picnic in your fort when it is built too. Don't worry about getting your sofa messy though, if it's an Impala Sofa, our Impala fabrics are stain-resistant and easily-cleanable, meaning you can spill as many blackcurrant juices and Nutella & jam sandwiches as you like and it won't spoil the fun! Nothing screams Christmas more than gingerbread houses and cookies. Have a mini Great British Bake-off at home with the whole family, and attempt to bake some Christmas classics. 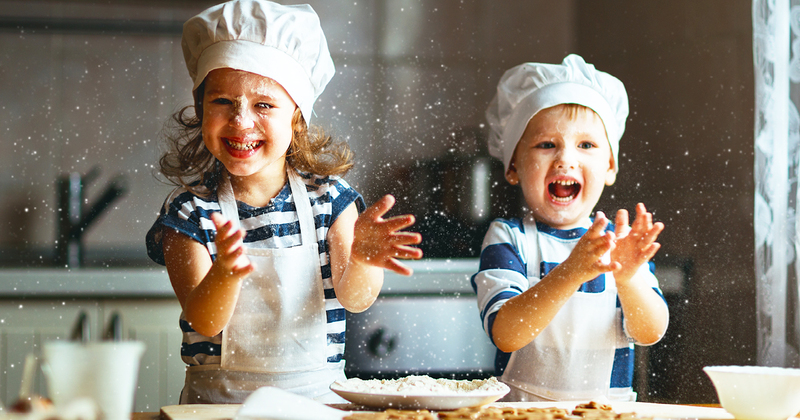 Get the children involved in the preparation, mixing and decorating of the bakes so that they feel a big part of the process. You can even gift the final products as personal Christmas presents for close family & friends. 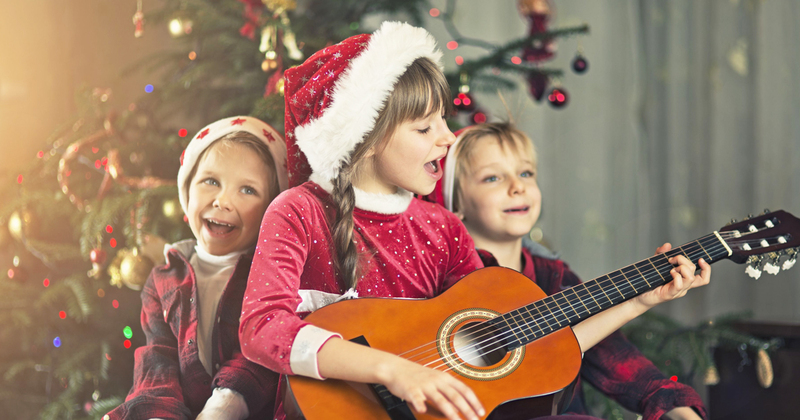 Depending on what your children like to do, a talent show or performance is a great idea to spend a day. Have them create their own play, magic show or song etc. and perform it to the whole family. Take it in turns to do a different performance and utilize things such as toys and fancy dress to make it much more fun! You could even switch up your fort to create a stage! This activity can be stretched across the whole on the Christmas holidays, collecting and printing photographs, finding memorabilia and art resources. There's no better way to celebrate the end of the year, than by creating a memory scrapbook full of everything you want to document. Have children look for collage scraps in magazines etc and use their creativity to make their scrapbook unique. As you will be spending a lot of time indoors over the Christmas break, it is important that you allow your children to get those wriggles out and use up some of that energy. Try creating indoor obstacle courses or playing games like 'the floor is lava'. 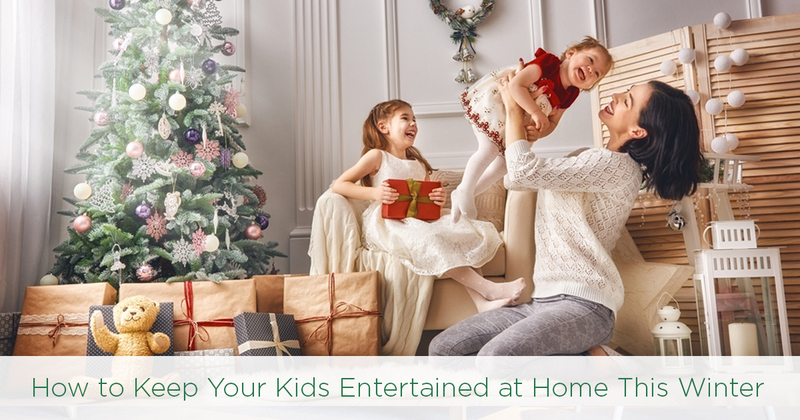 We hope that these tips help you entertain the kids at home this Christmas! If you are looking for a brand new sofa or chair that will survive the holidays then why not take a look at our Impala Sofa range of child and pet-friendly furniture. Although the leaves may be changing outside, we think that bringing a deep green shade inside will work wonders this autumn. 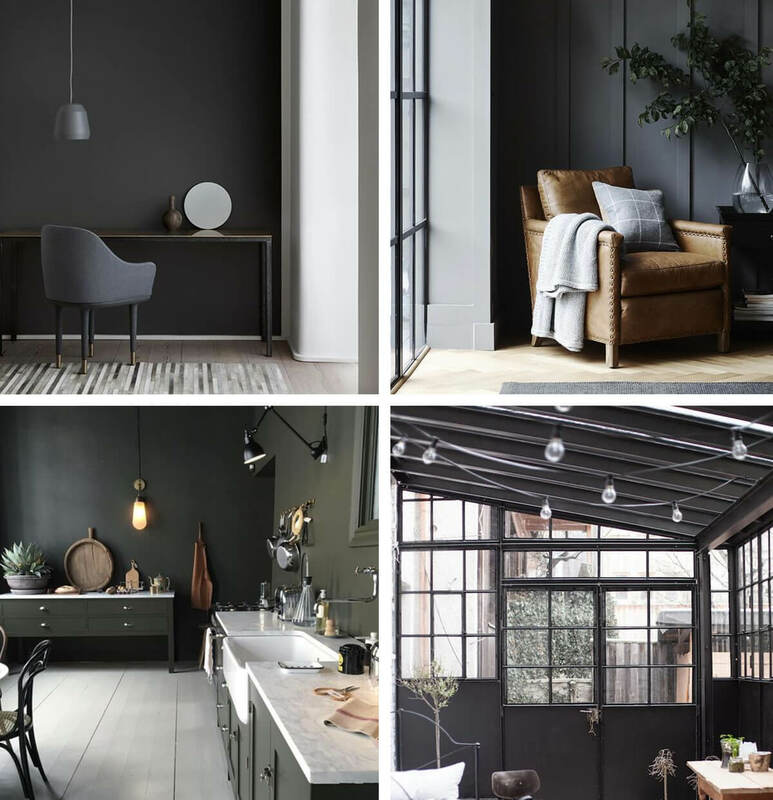 This colour has been slowly rising in popularity as of recently, and whilst it might not be to everyone's taste, we think that the dark, natural elements of the shades can make for stunning accent walls or show-stopping focal points. 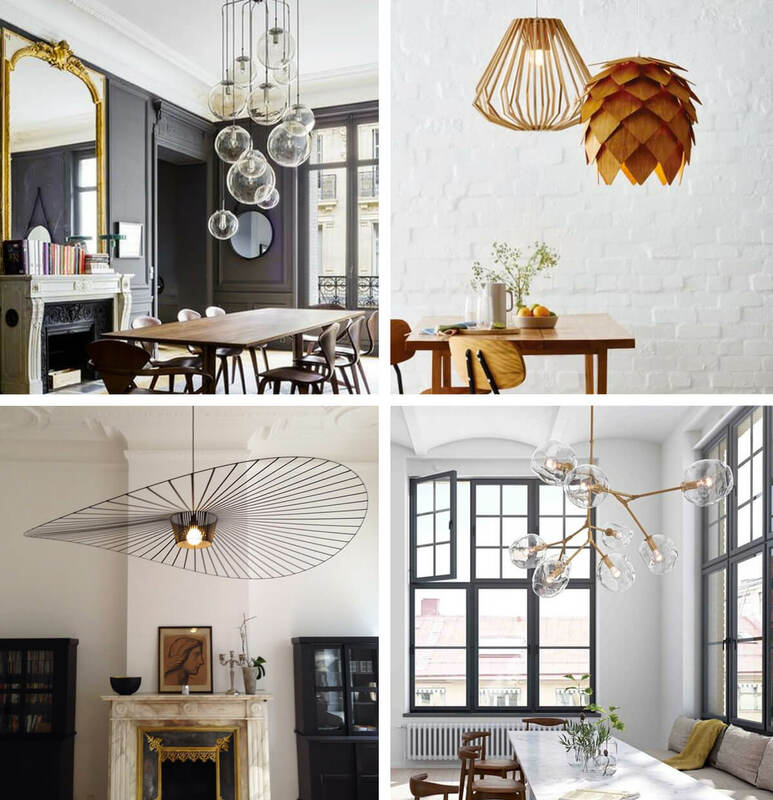 After going through a phase of understated and minimalistic lighting, such as naked Edison bulbs and geometric cages - we are now seeing a move towards more statement lighting fixtures. We are not talking about old-fashioned crystal chandeliers here, but more artistic pendants hanging above dining tables as a focal point. Instead of faux interiors such as plastic, marble, and copper, we are gravitating more towards raw, natural materials such as wood. The change in seasons especially impacts this, as we feel closer than ever to nature and warm tones. A luxurious fabric for a cold autumn day, velvet textiles are set to be a major trend this season. 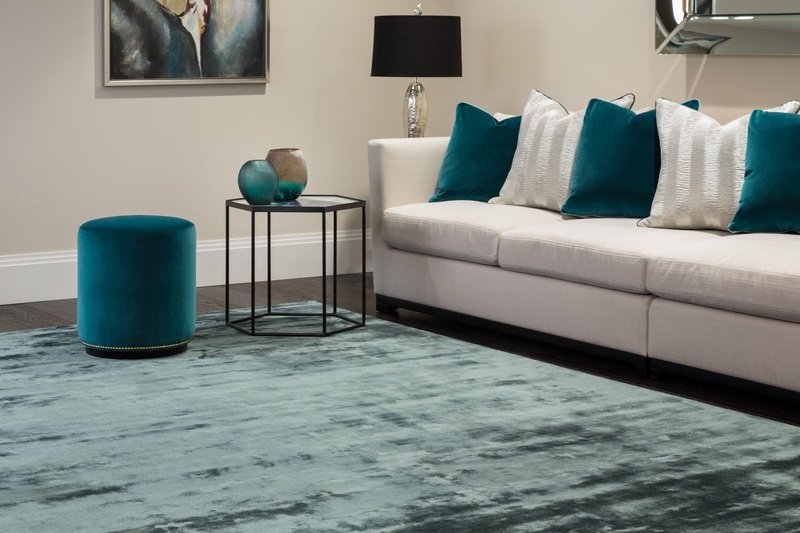 Whether it be as a sofa or a cushion, velvet interiors bring an aura of sophistication and elegance to a room. They act as a huge point of interest, especially when paired with contrasting materials such as metals and wood. 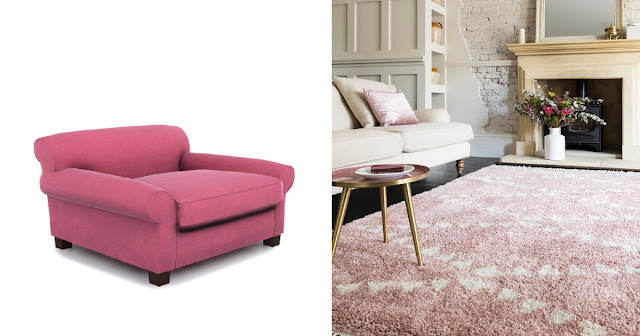 Perhaps an unusual trend for Autumn, but after millennial pink became such a hit this summer, our bets are on a darker-toned blush pink to take the lead. 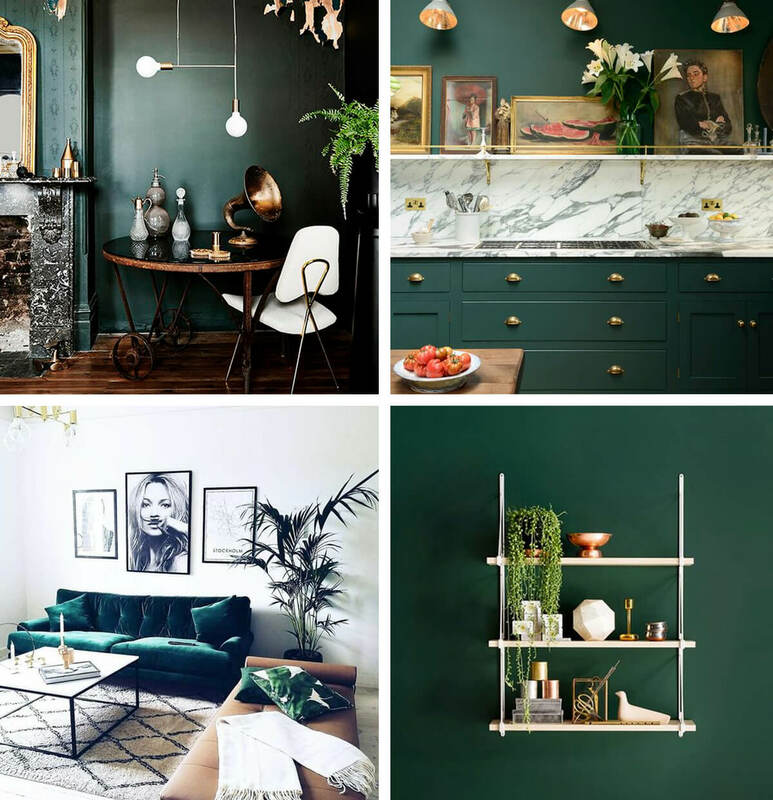 This colour is not for everyone but can help create the ultimate chic room. Pair with brass, natural elements and a mix of textures for style heaven. As autumn comes around, the first thing all people wish they had their home is a fire! Cosy nights, sat at the fireplace with a blanket is like nothing else. 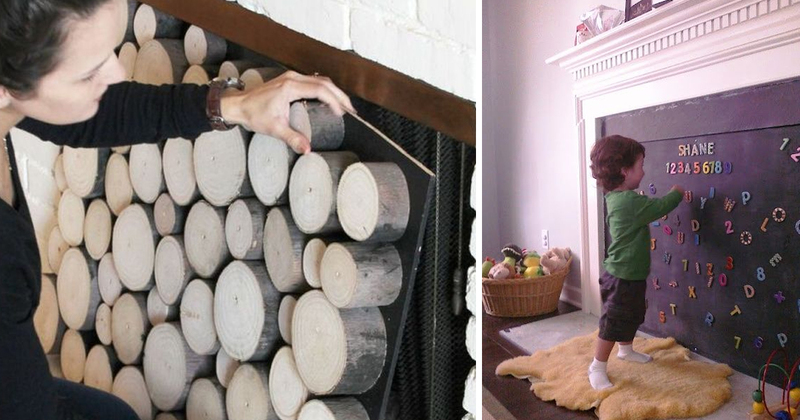 If you haven't already, give your fireplace a makeover! Your mantelpiece should be one of the main focal points of your room, so if you have period features, be sure to enhance them! You may be noticing this trend more and more as of late, especially if you are active on social media sites such as Instagram. 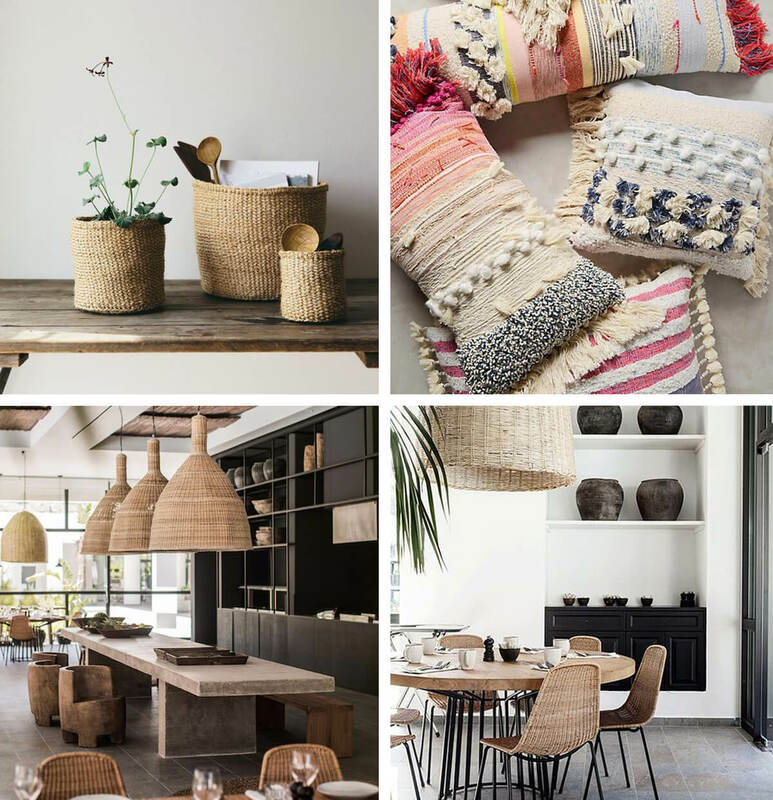 You cannot visit a boutique hotel or a trendy cafe without bumping into a woven basket or two! This textile is extremely versatile and is usually seen in interior accessories for hints of bohemian, Mexican style. 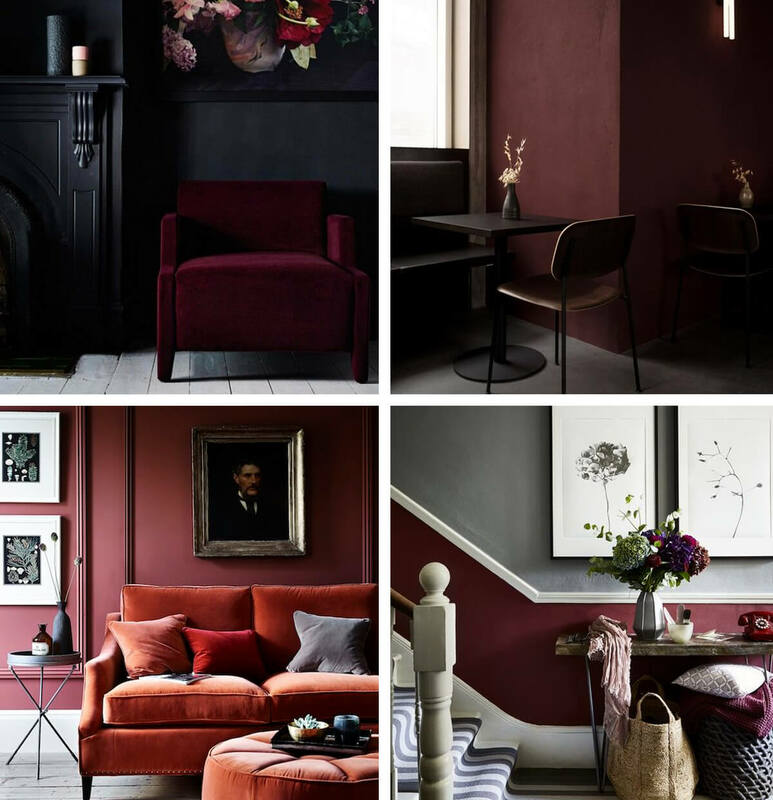 If ever there was a colour for autumn and winter, burgundy red would be it! We love to incorporate this colour into our outfits come fall, so why not our homes? It may be dark, but just like emerald green, this colour is both warm and inviting, as well as highly sophisticated. We've had rose gold and we have had copper, but now it's the turn of brass! Were they ever really out? 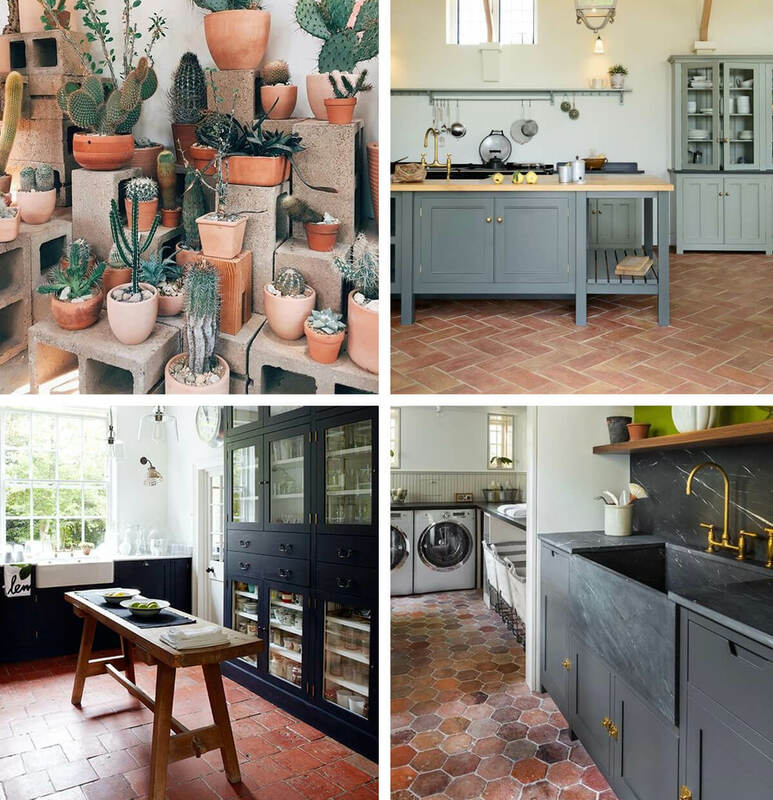 Terra Cotta tiles embody the feel of autumn with their warm burnt orange tones, charming character and farmhouse feel. Although they may feel cold on the feet in the upcoming months, we love the look of these tiles. Admittedly, this is not a surprising trend. The use of matte black in interiors has been rising in popularity over the last couple of years now, but we have noticed people becoming more and more adventurous, installing matte black bathrooms and kitchens. Although the change in seasons ultimately brings about the change in the weather, we think that there is nothing better than sitting out on a porch or patio area in the autumn. 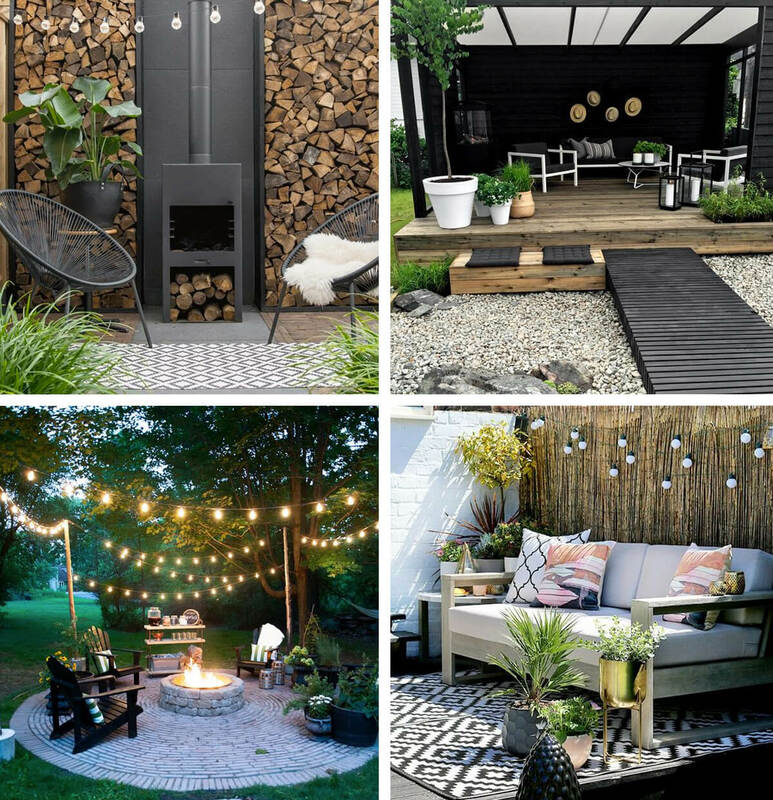 Cold breeze, fresh air and leaves falling all around in a spectacle of colour - creating a warm and inviting outdoor area will really help you get more out of shorter days. Autumn brings about the lust for colour and life in a home, so although we love minimalistic white interiors, we love to see home injected with warmth when it comes to this season. Greens, browns, oranges and blacks will help make your home much more inviting this autumn. 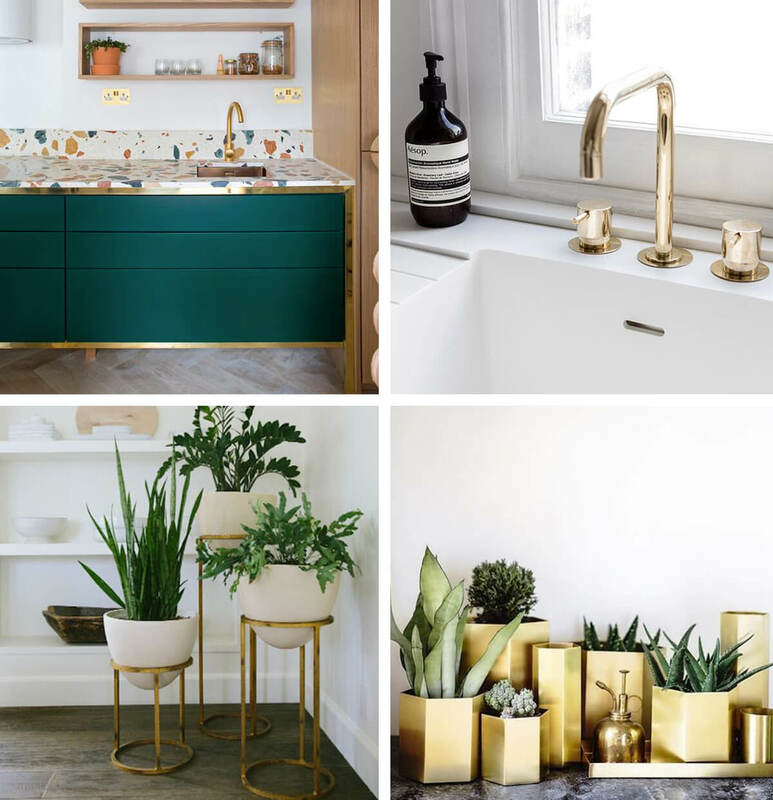 Copper seems to be making way for the new metallic trend of the year, Brass. The fast sell-out of faux copper interiors in high-street stores has undoubtedly been the style's own downfall. Seen i n just about every home now, people are beginning to revert back to the classic look of brass and real copper. Just like copper, faux marble interiors are beginning to look outdated and overused. These trends are so successful that in turn are tired out too quickly. We would opt for materials such as porcelain, clay or metal. We have seen a lot of home owners experimenting with their furniture sets recently. We no longer feel like we need a complete set of matching corner sofa, armchair, and pouffe - instead, mix and match different textile colours and sizes to create a really unique space. It's time to say goodbye to those spiky pineapple ornaments now that summer has ended. Once a unique and eclectic interior accessory for the cool home-owner, the pineapple is a little out-dated now that autumn has arrived. Introduce new accessories such as real plants or autumnal inspired decor. My Dog Keeps Destroying My Sofa - What Do I Do? 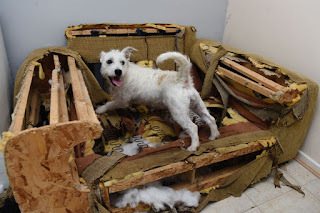 Whether it be mud, food, or some other unappealing substance, pets are renowned for causing a little bit of mischief when it comes to our favourite furniture. And, whilst living with dogs is one of life's greatest gifts, sometimes all we ask is to have a beautiful clean home and furniture that doesn't end up in pieces on the floor! 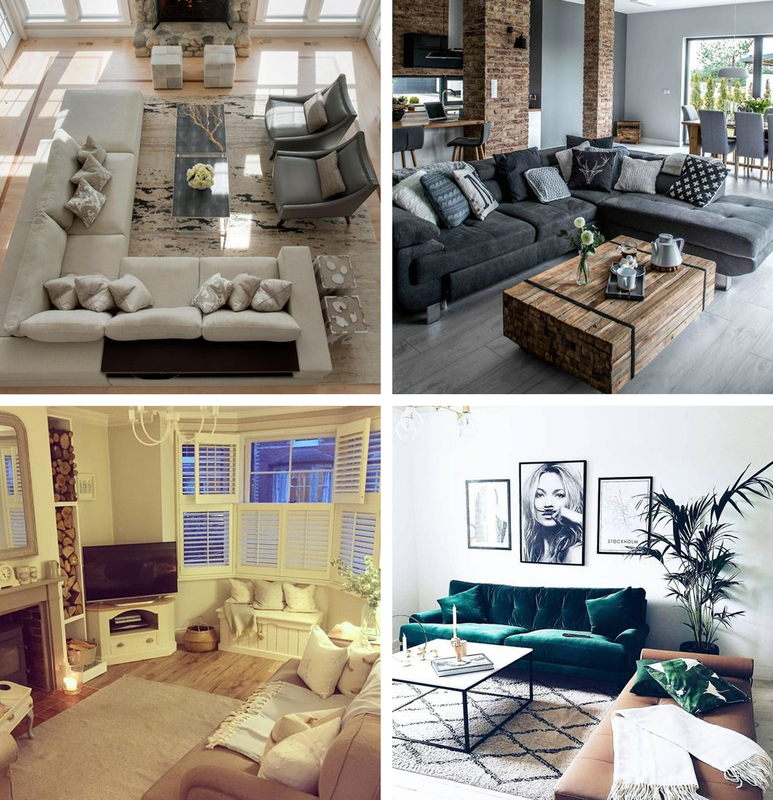 From ripped up cushions to questionable wet patches, if you've ever come to your home looking a bit like the images below, then we have the perfect solutions for you! This dog's owner couldn't believe her eyes when she came home to find that her little friend had been busy causing chaos whilst she'd been gone! That is one muddy puppy and one very muddy couch. If only she had an Impala Sofa - we wonder how long it took to clean up that muddy mess! 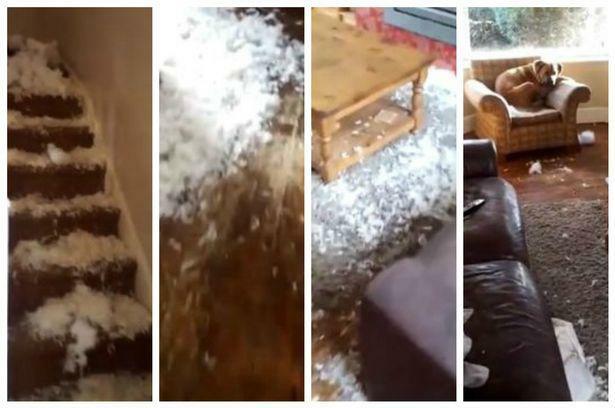 Barmaid Sophie Robinson was greeted with this scene of devastation – and a guilty-looking pooch when she came home from work. Yogi sure looks as if he had a busy day ruining the sofa cushion! This image sends shivers down our spines! A £2000 sofa ripped away at the paws of this tiny trouble-maker. Peaches sure is one destructive pup. 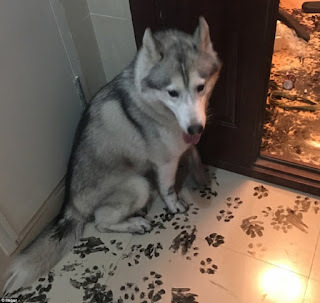 This naughty Husky dog thought that it would be a good idea to do a bit of calligraphy whilst his owner was away. His inked up paws got just about everywhere! 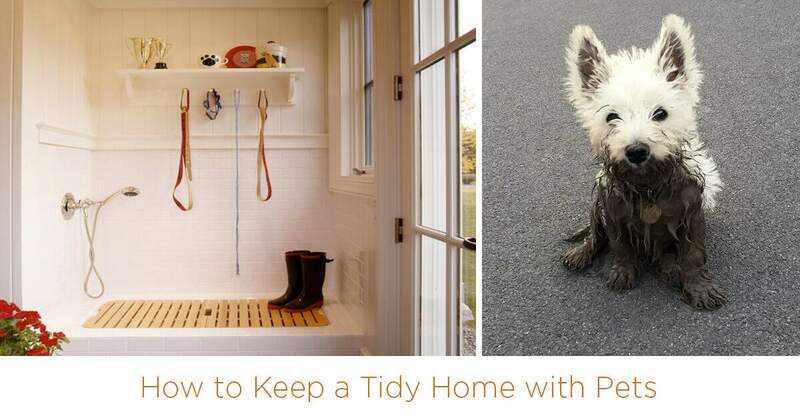 Have a drying and cleaning station set-up near the door for when your dog comes in from the garden or their walk. This way, when they bolt for the sofa, their paws will already be clean! Use a dog/baby gate to block off rooms that you don't want to allow your dog into. Teach them when they are a puppy - We believe that your dog is a part of the family and therefore should be allowed on the sofa, however, if you don't feel this way then we definitely suggest training from the start, as to where they can and cannot go! Keep it clean - Stay on top of cleaning and hoovering your sofa if you allow your dogs on it, to ensure that it stays in top condition. Mix it up - Our dogs often tend to favour a particular spot on the sofa, be sure to move cushions so that this spot does not become obvious due to wear-down of the fabric. Cover it up - Although our Impala Fabrics are easily cleanable and stain-resistant, you can always drape your sofas with a throw or blanket - this is particularly helpful for keeping on top of pet hair and great when those 'surprise visitors' pop round. Toys, toys & more toys! Like the dogs shown above, you may find that your dog becomes restless and bored when left alone. Leaving toys, particularly brain stimulating and boredom-busting toys such as the 'Kong Ball', should alleviate the need to be destructive in your home whilst you are gone. Speak to a behaviourist - If your dog becomes destructive in your home when you are gone, despite having been left treats, toys etc. then it may be beneficial to speak to a pet behaviourist for their issues. They may be suffering from separation anxiety and you will, therefore, need help to combat this. Most importantly, invest in the right furniture for your home! 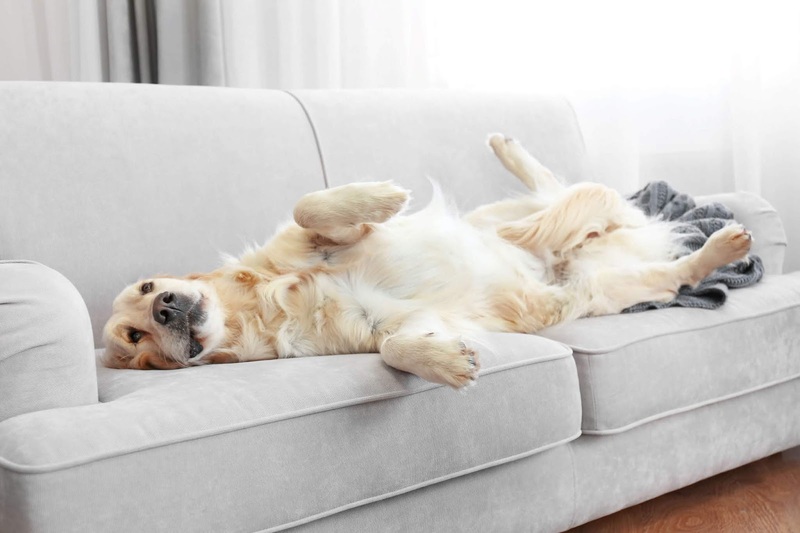 If your dog is renowned for making a mess, or if their breed type means that their coat often becomes damp, then you need a sofa that will suit your needs. Impala fabrics are easily cleanable, stain resistant and durable - the perfect combination for those furry friends. If buying a brand new sofa simply isn't a feasible option for you, then why not upholster your current furniture? Save the sofa that you already have and instead give it a new lease of life with a more stain-resistant and durable fabric. Buying a new sofa can be a daunting task, with so many colours, styles and designs on the market it's hard to know which purchase is the right one for you and your home. Perhaps one of the biggest decisions to make when picking out a new sofa will be whether you choose to go with leather or fabric. Both of these sofa coverings offer differing advantages and disadvantages, so it's extremely important to think of your home, your lifestyle and your family when thinking of which one is best suited to your house. When you choose a fabric sofa, there is a much larger variety of colours and patterns available to you. When there is more variety, there is a greater chance that you will find a style that fits your personal taste and home colour scheme. Fabric sofas are the perfect choice for those who prefer a more inviting and 'cosy' home style. Nothing says curl up on me with a book, like a soft velvety fabric sofa! A fabric sofa is equally as comfortable in the summer as it is in the winter. A lot of fabric sofas have removable and washable covers, ensuring they are kept looking fresh and clean. Here at Impala, our sofas are stain-resistant, easily cleanable and exceptionally durable - making them a perfect choice for the family home or those with pets. Fabric sofas offer a lot more variety when it comes to your budget. Leather sofas almost always cost more than fabric sofas. "Fabrics can easily be ruined by stains and spills" - Our Impala Sofas are stain-resistant and easily cleanable, meaning that whatever you throw at them, from red wine to pen, our revolutionary fabrics will handle it (take a look at our Youtube videos if you don't believe us!). "I can't have a fabric sofa now that we have children" - We believe that families should still be able to have the sofa of their dreams, even with those sticky fingers around! Our contemporary furniture designs bring style into a home whilst maintaining the utmost practicality. "I will have to sell my sofa if the pattern or colour becomes outdated" - Colours and styles often go out-of-trend, however, you should always keep this in mind when buying your new sofa. With a fabric sofa, if you love the design but have fallen out of love with the pattern, you have the option to upholster it with new fabric - this is a great way to save money and reduce waste. Still want to hear about the advantages and disadvantages of a leather sofa? Often more durable and long-lasting - so much so that they are sometimes passed down through generations as heirlooms. Leather sofas have a air of elegance and sophistication to them. From the sets of old movies and Manor homes, this unique look is undoubtedly hard to replicate with a fabric sofa. Although leather is known for being durable, leather sofas often become scratched easily, especially with household pets. Leaving unsightly scratches and punctures on the surface. A leather sofa is not inviting. The texture is cold in winter months, and will usually have to be covered with a throw or blanket. Leather sofas are restricted by way of style, colour and pattern choices. In the summer, leather sofas may be very uncomfortable to sit on. They can become extremely hot and sticky, especially where bare legs and arms are concerned! In an era where sofas are deep and wide for maximum comfort, leather sofas remain stiff and limited in space. We hope we have helped you in your quest for the perfect sofa! We are sure that be it leather or fabric, your new sofa will be a sight to behold in your home. If you would like to look at our fabric sofas, feel free to browse, buy or email us with any questions you may have. Select fabrics carefully, our Impala fabrics are a great choice! Let your dog have fun, and be prepared to clean up the mess afterwards! 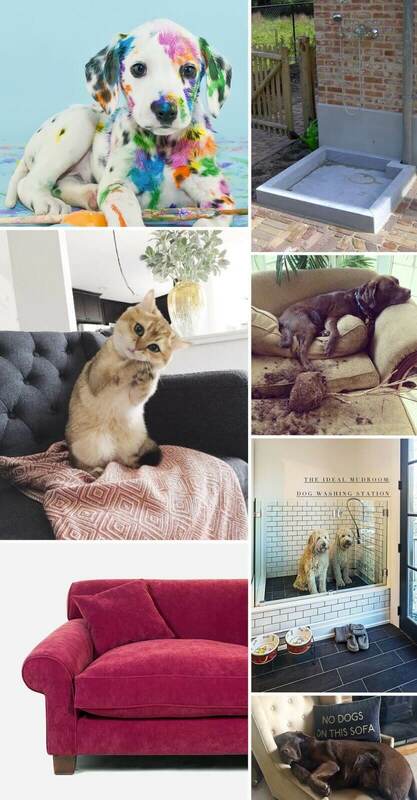 Above all though, ensuring that your sofa is suited to life with your little furry friends is a vital part of home-life with a pet. Buying a sofa or seat is a big investment, and needs to be considered carefully, you should invest in upholstery and fabrics that will clean easily, that will not easily absorb stains and accidents and that will hold up against sharp claws and scratches. Our Impala Fabrics are an excellent choice for families and individuals both pets and children (as we all know that they can often be as messy as each other!). Our fabrics are available in a variety of colours and are easily cleanable, exceptionally durable and luxurious in both look and feel, stain-resistant and can be easily combined with contemporary furniture designs to bring style and the utmost practicality to any home.